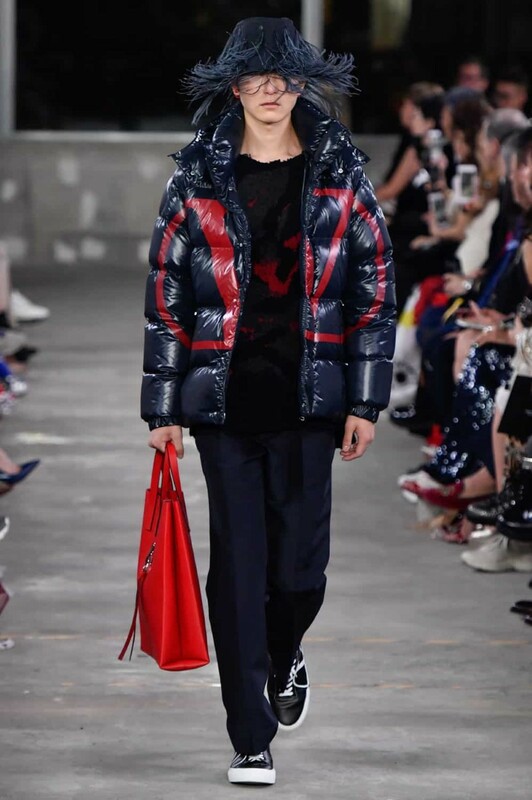 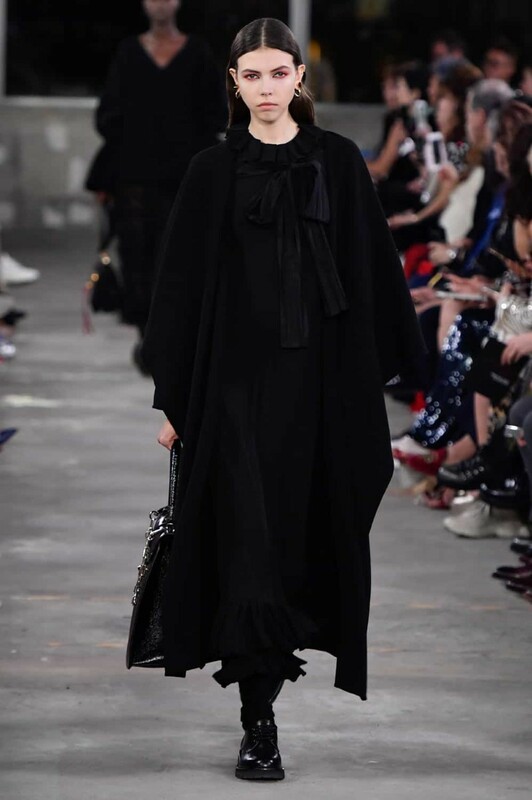 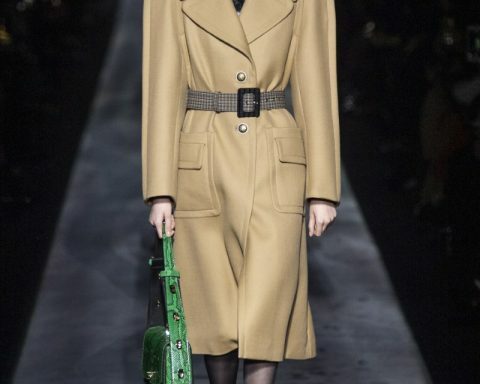 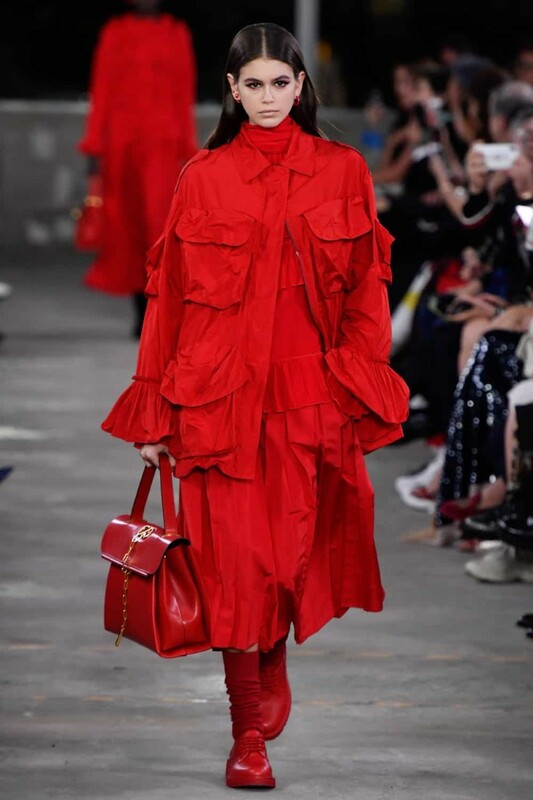 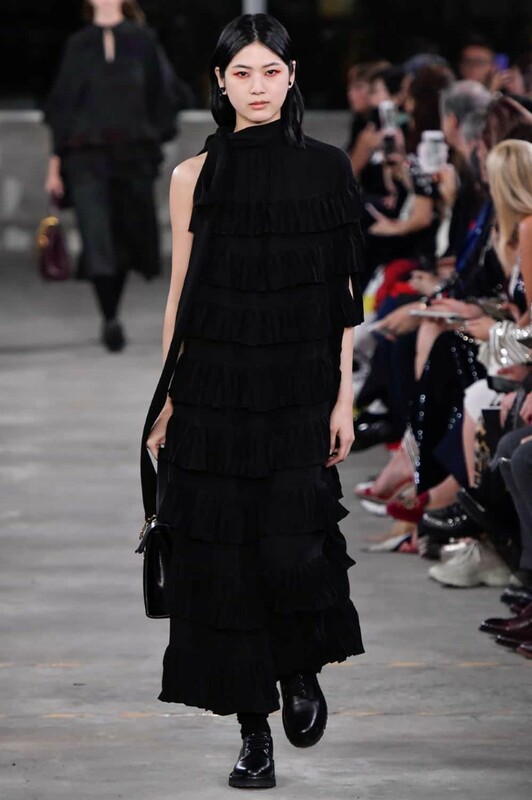 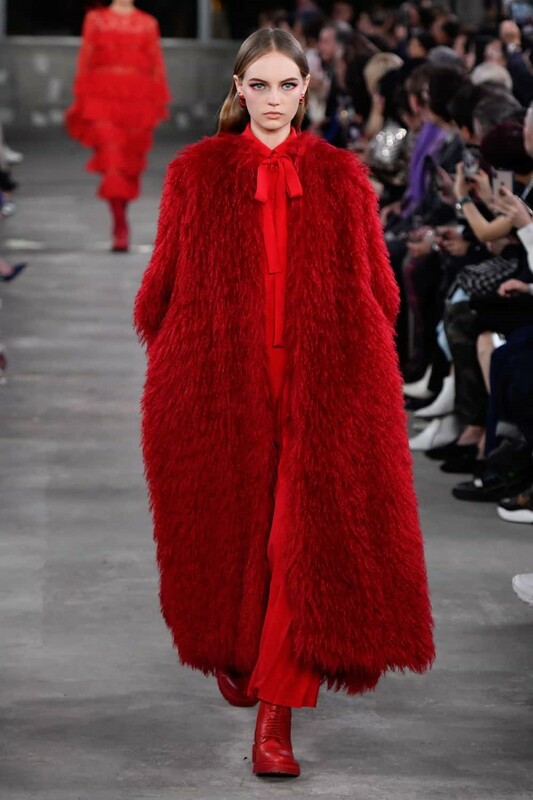 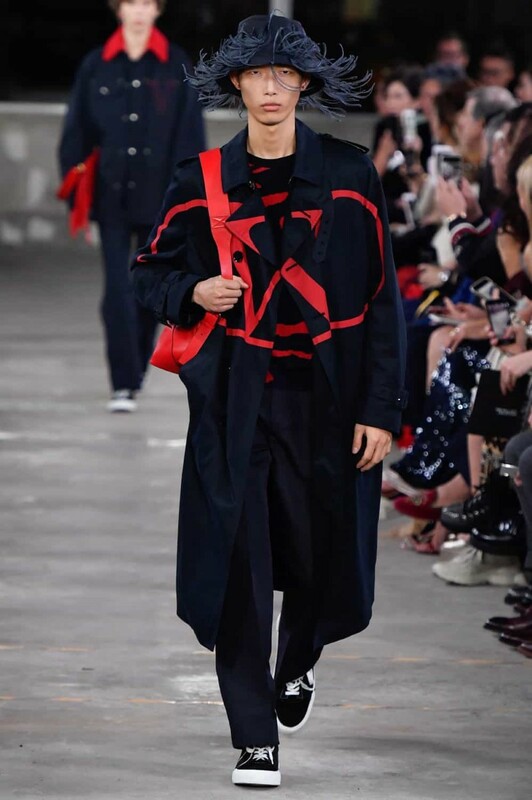 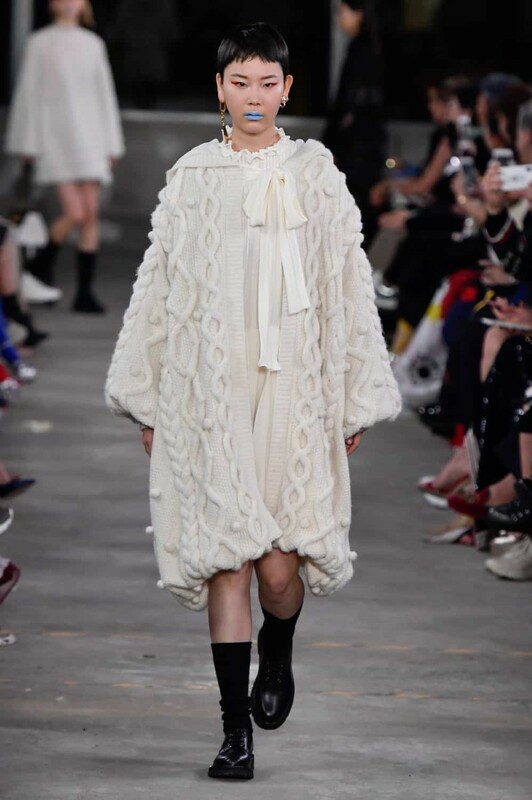 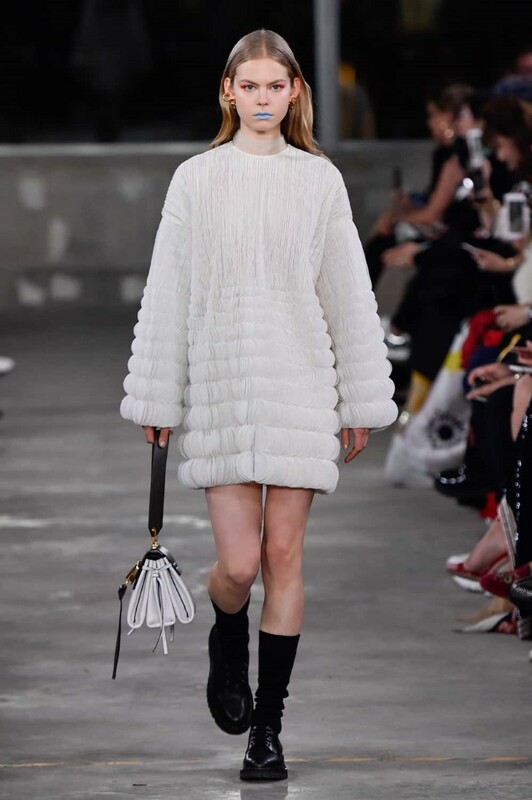 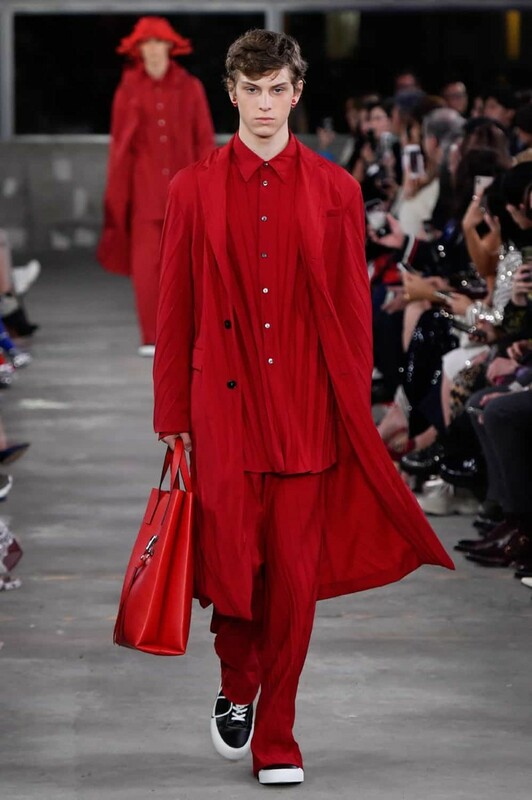 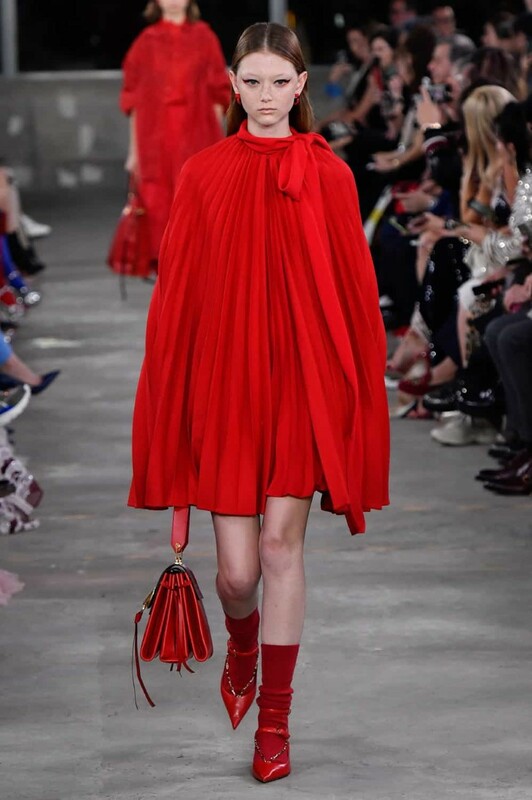 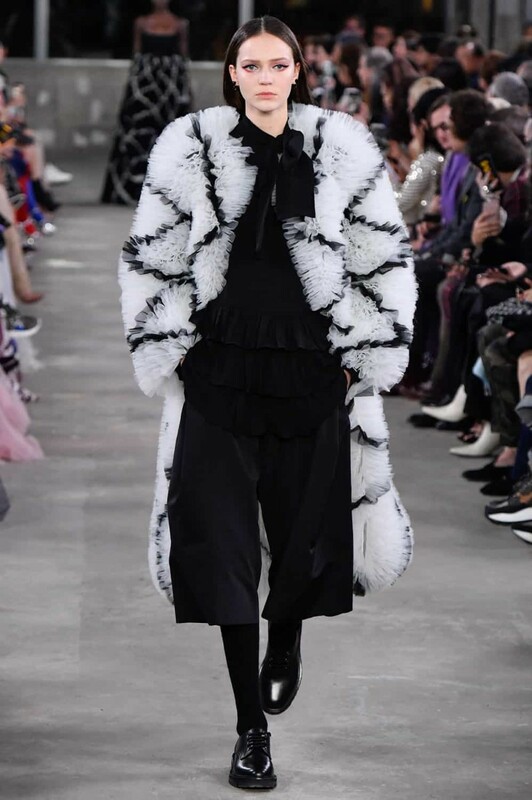 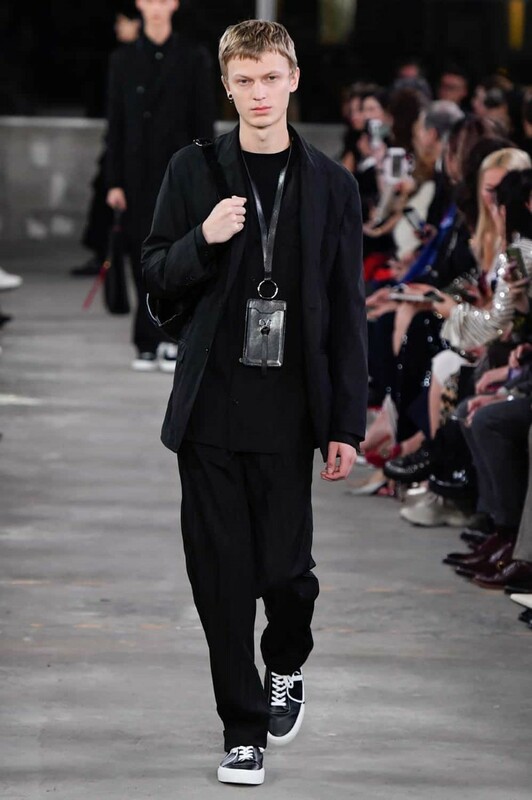 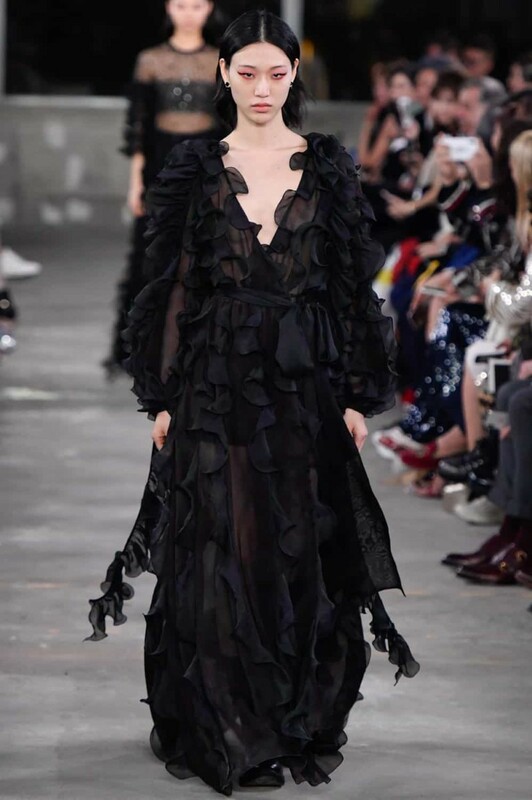 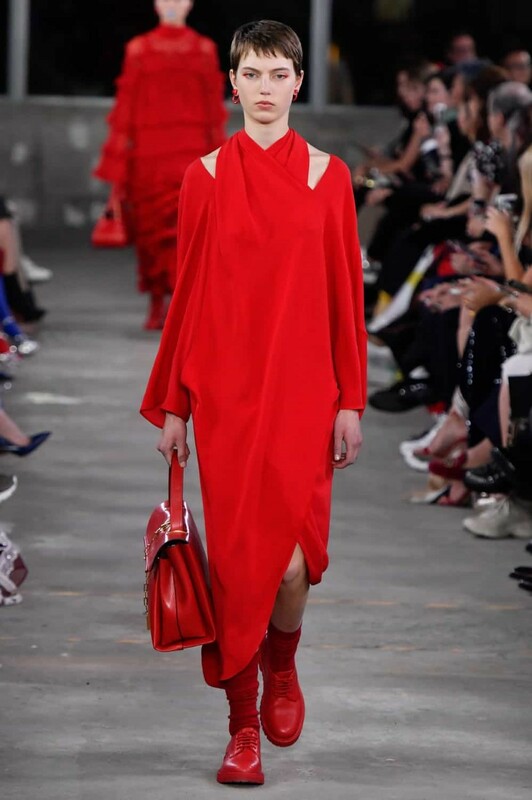 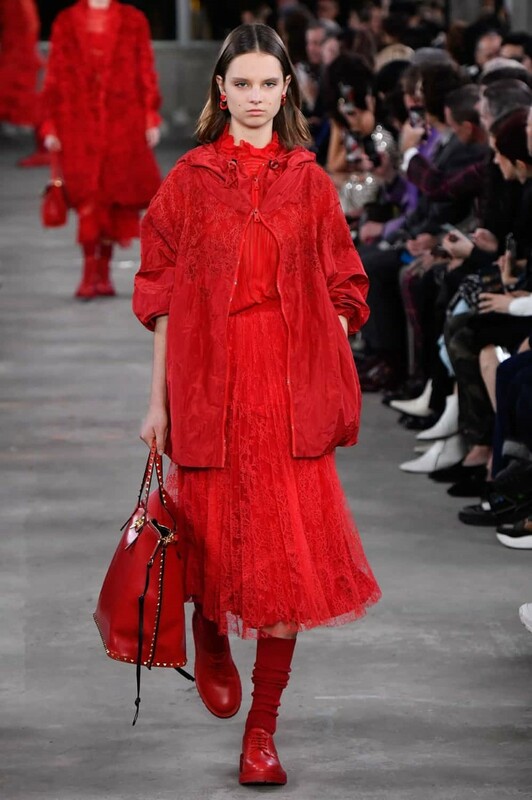 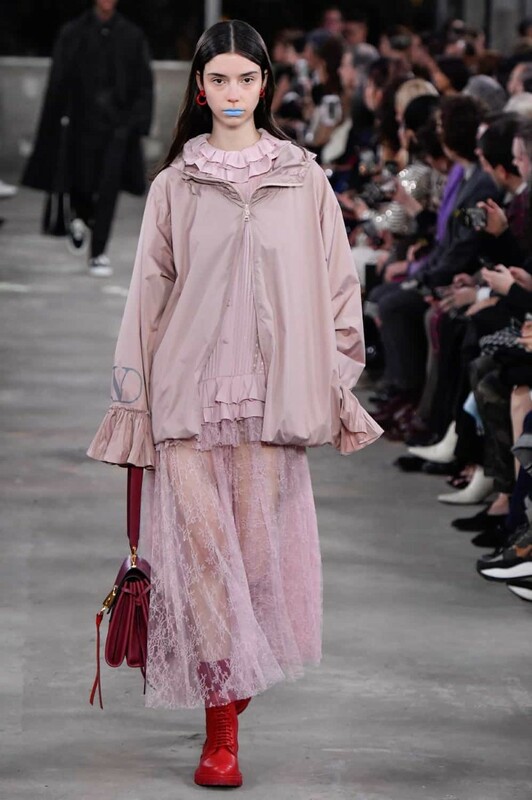 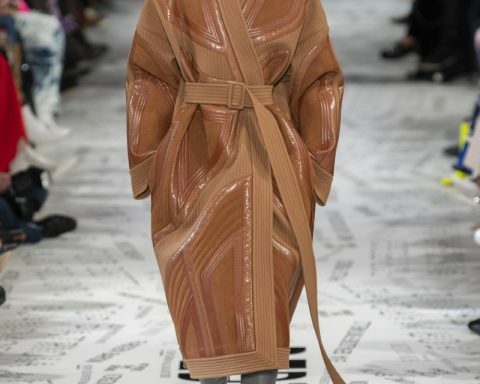 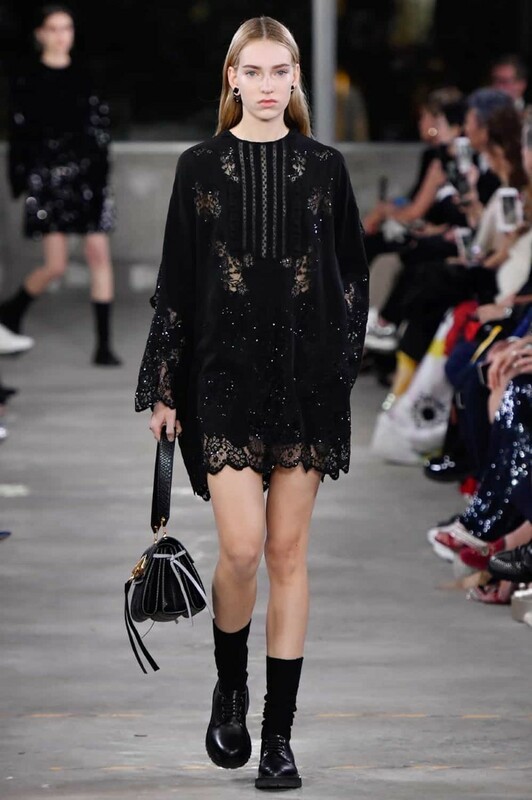 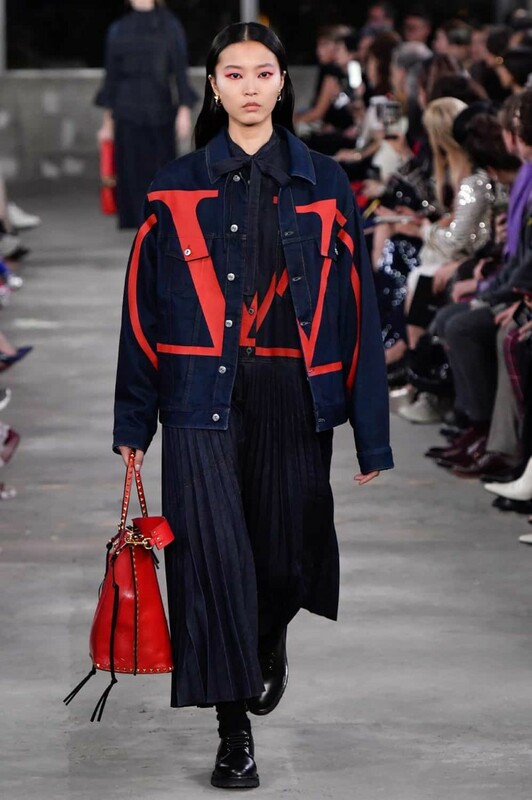 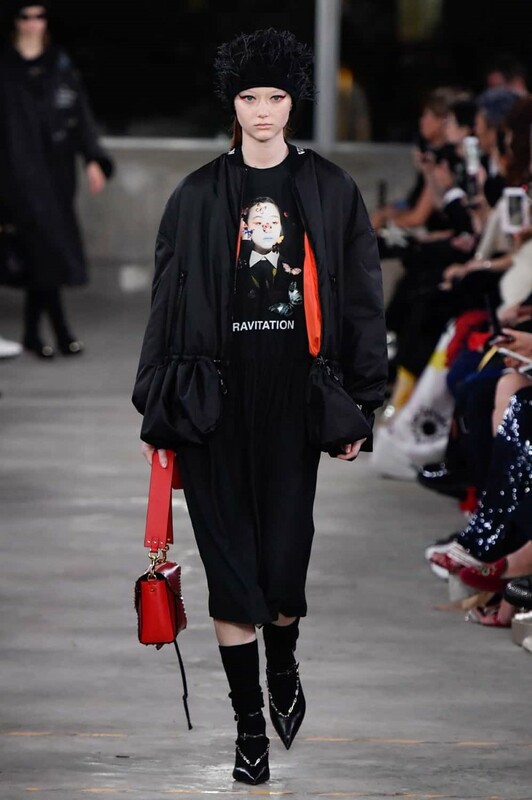 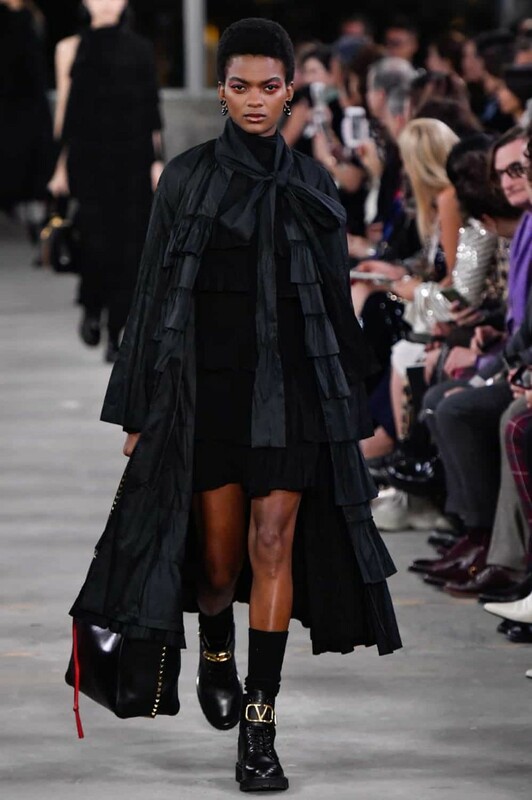 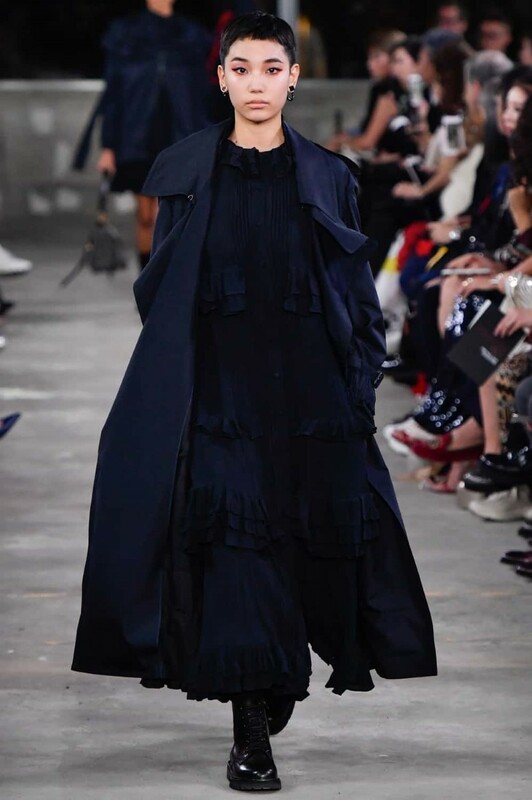 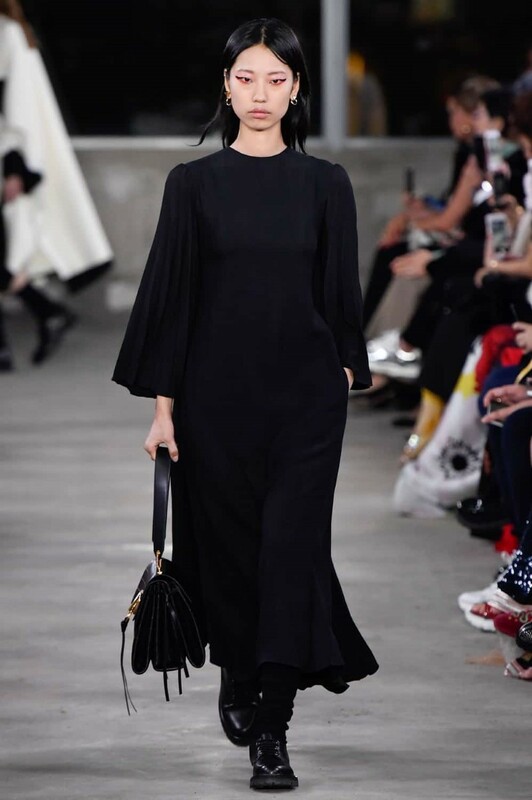 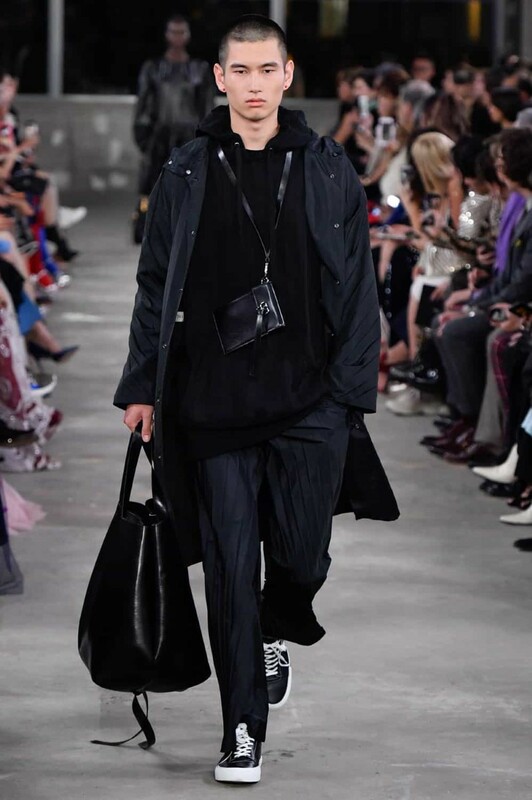 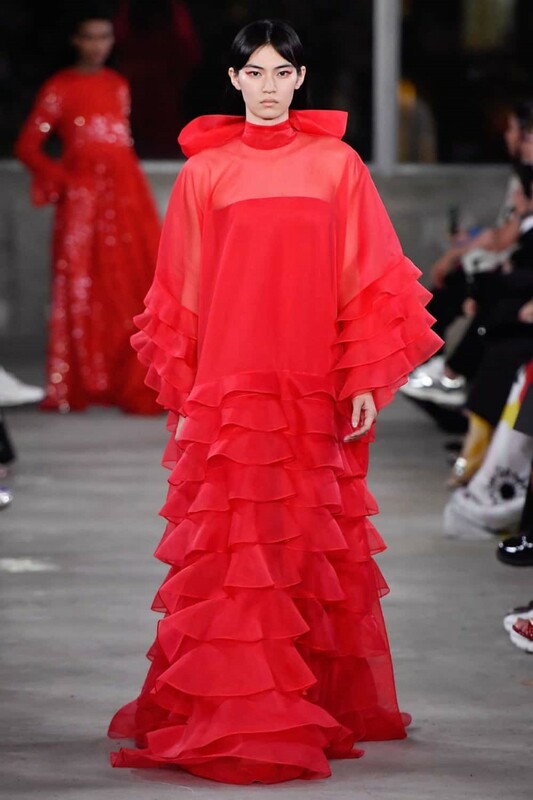 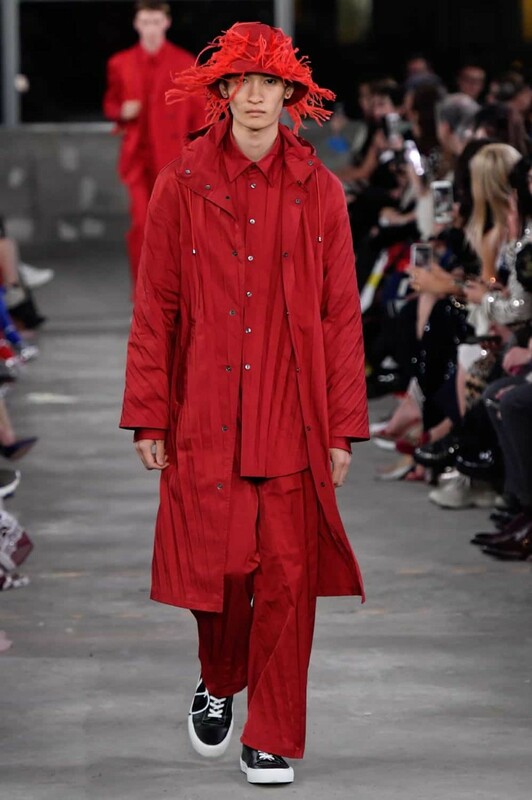 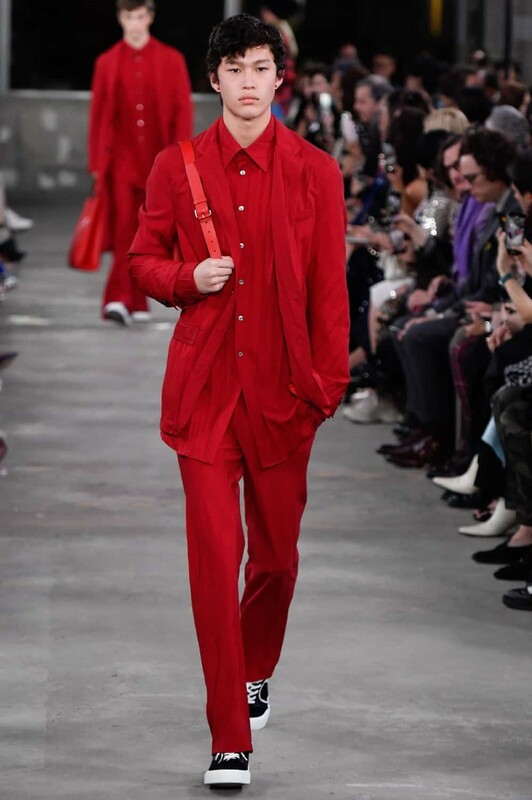 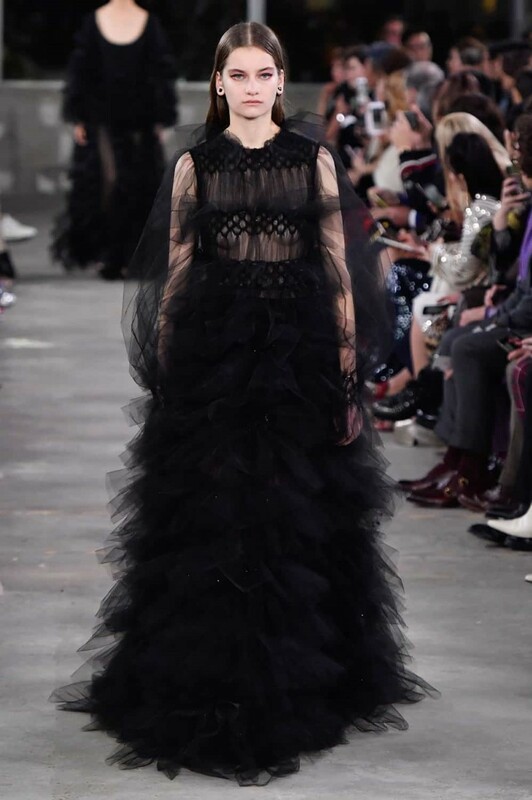 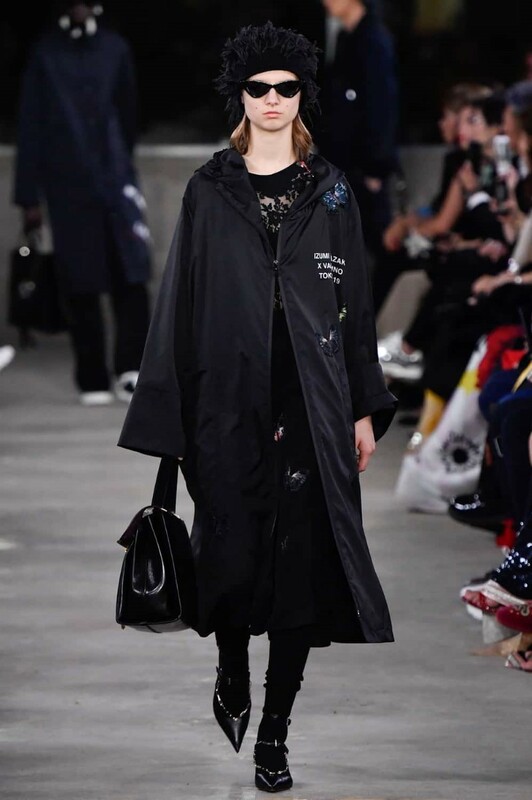 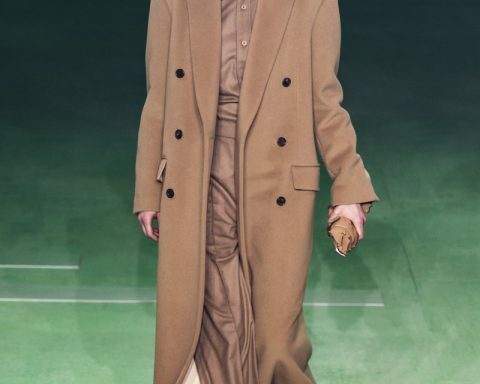 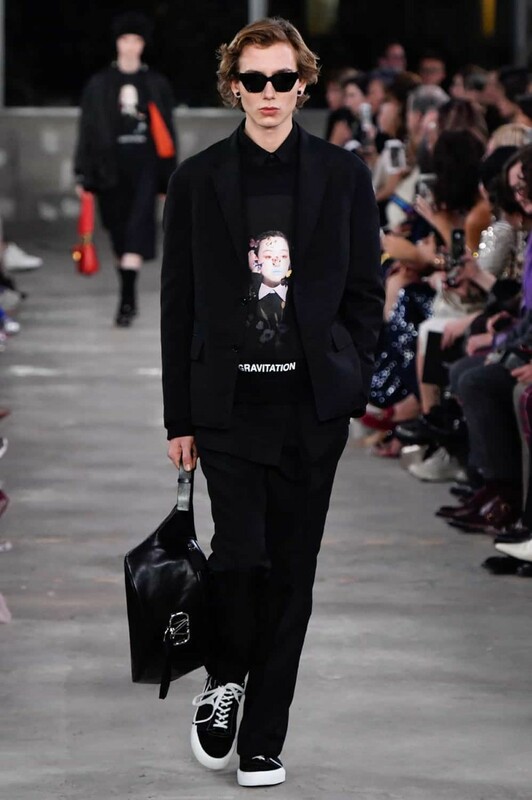 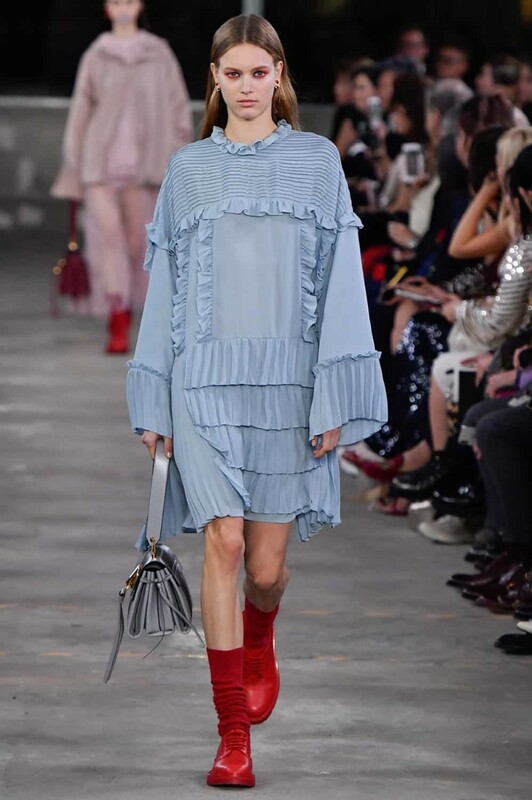 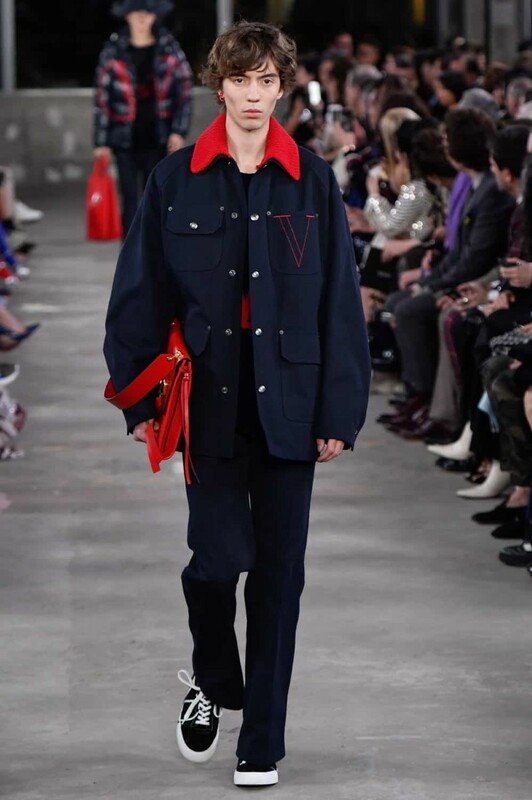 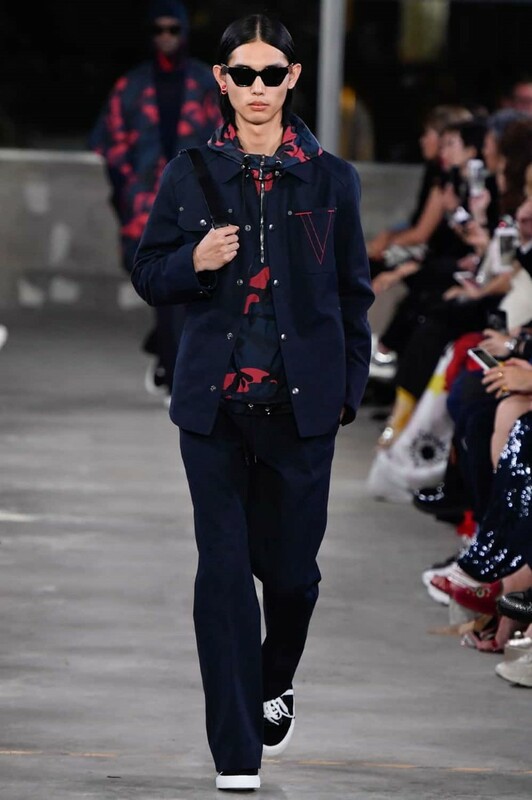 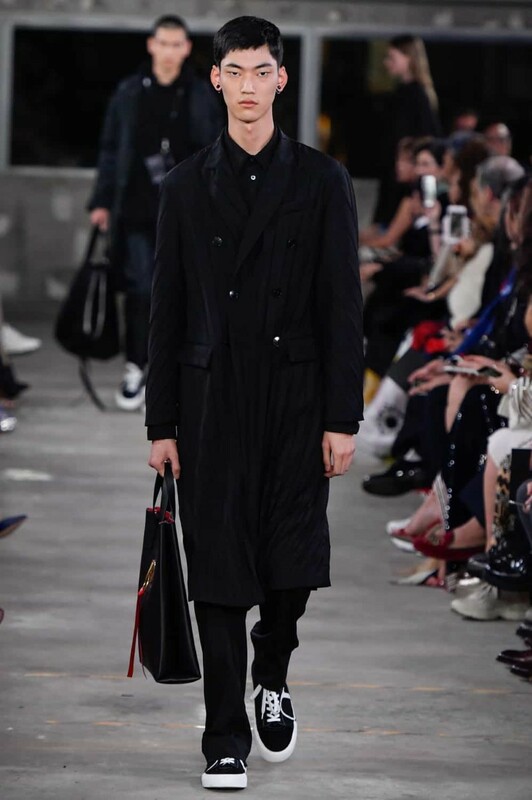 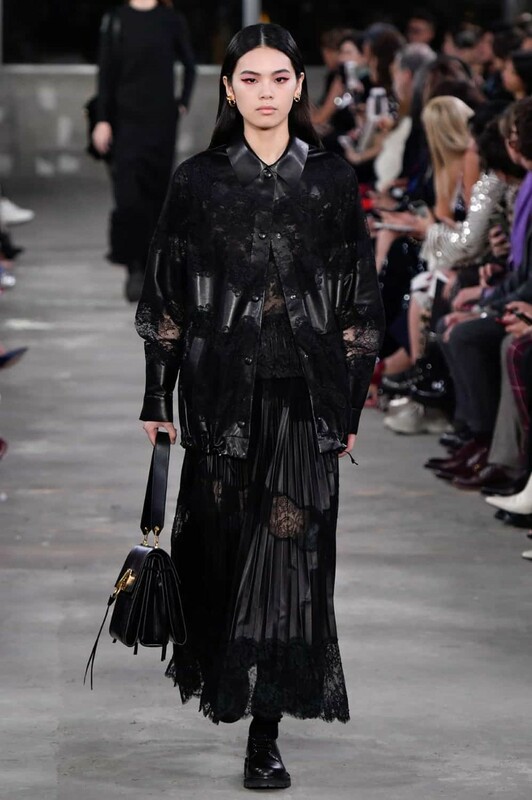 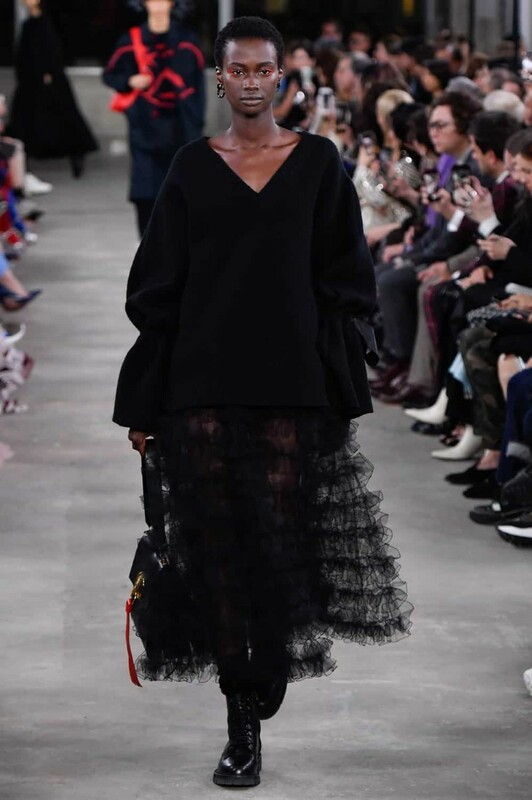 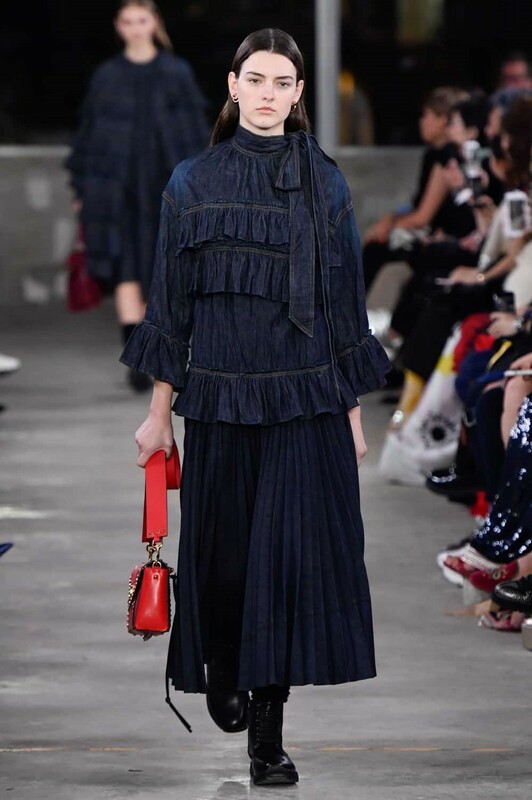 A day after unveiling a new retail concept at its Ginza flagship store, Valentino staged its first runway show in Japan since 1982, with creative director Pierpaolo Piccioli also debuting his new men’s and women’s Pre-Fall collections, marking his first coed show. 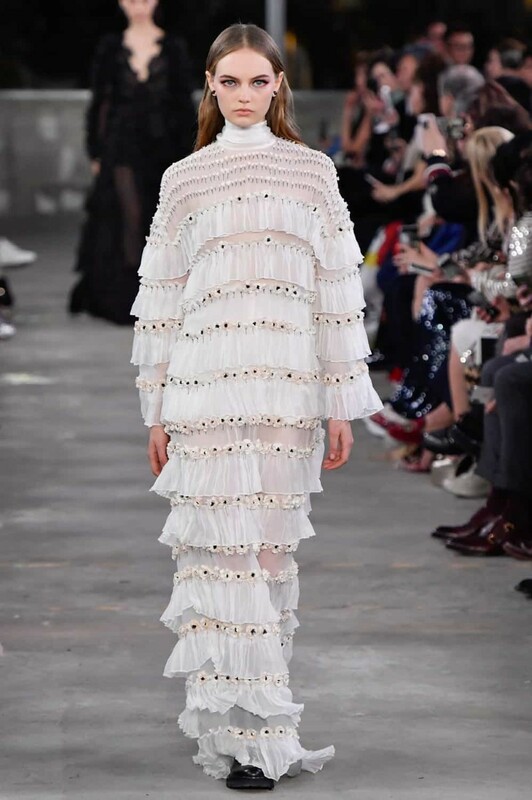 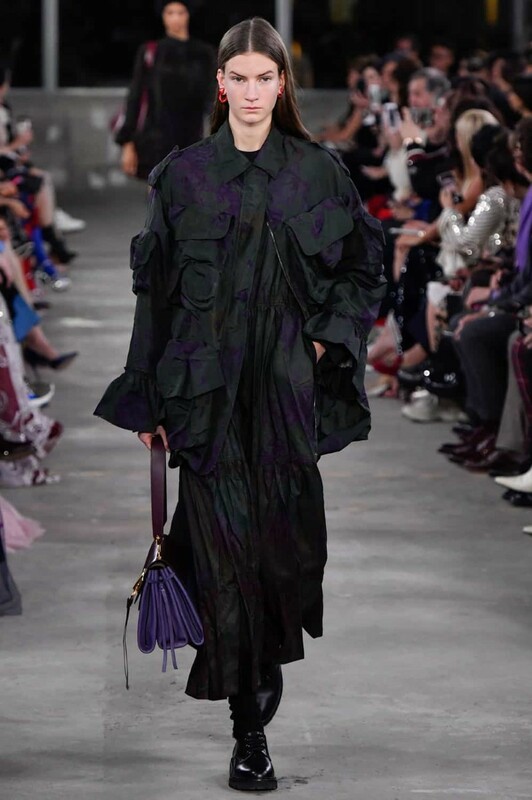 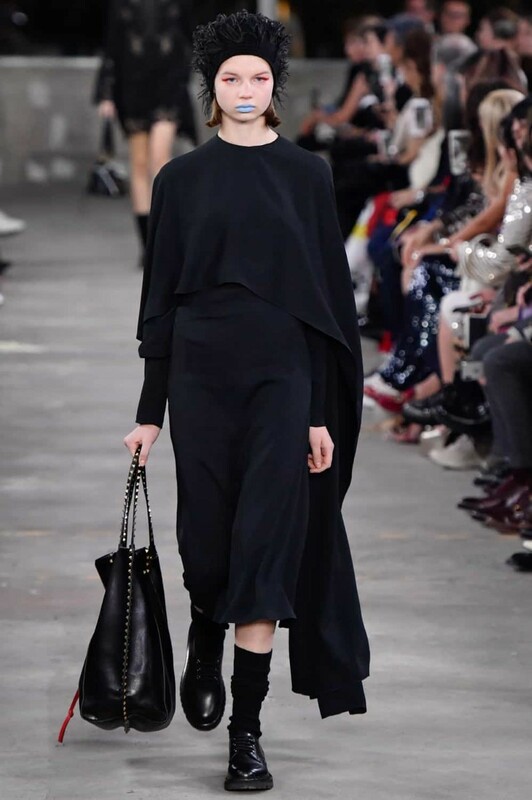 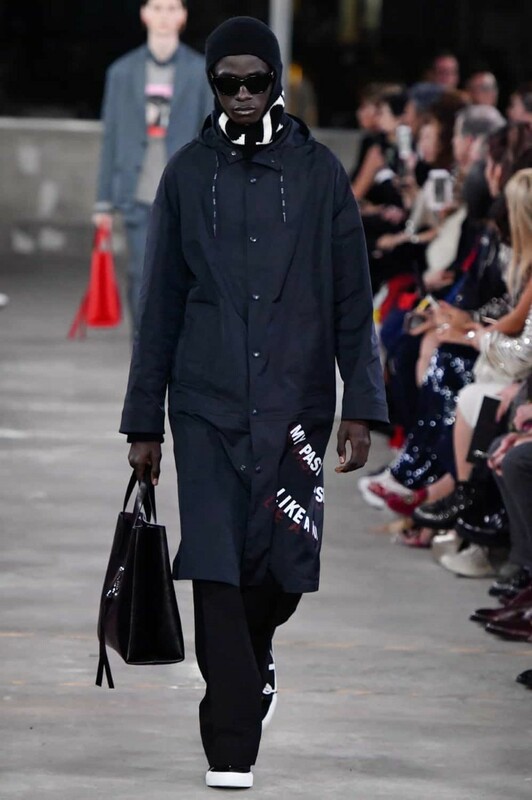 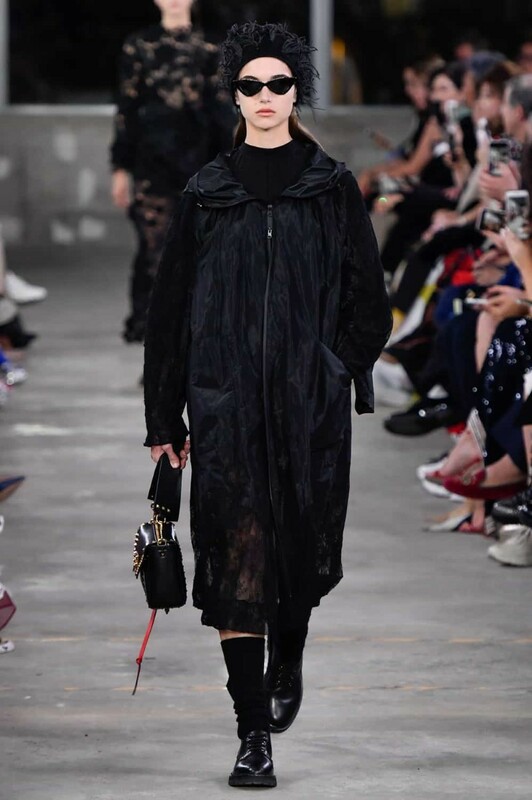 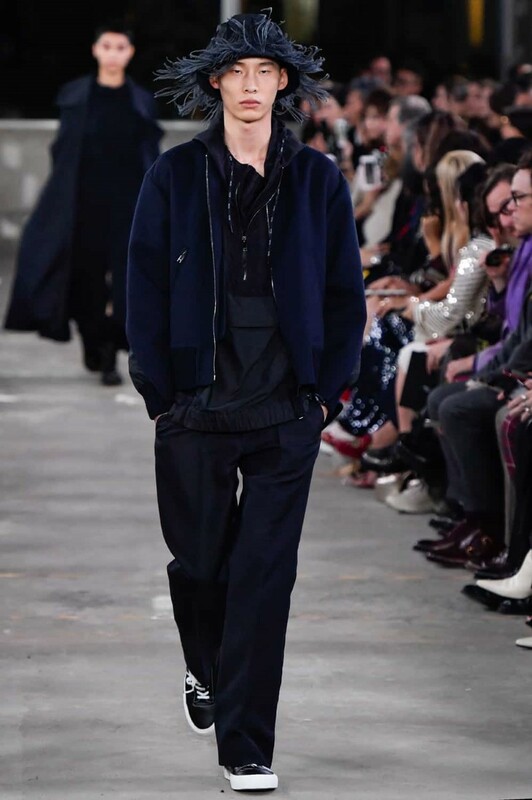 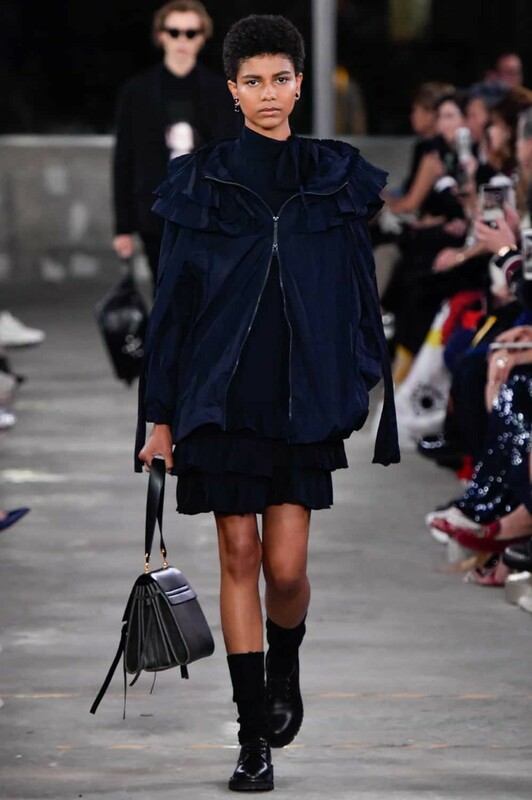 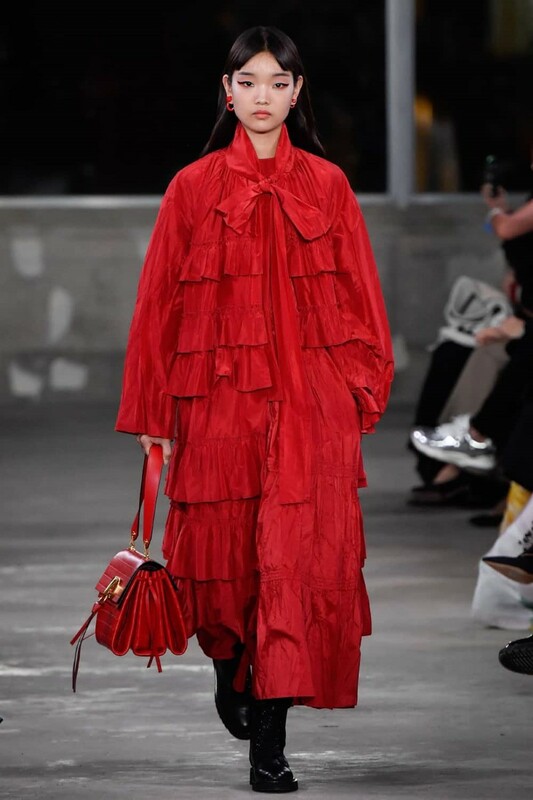 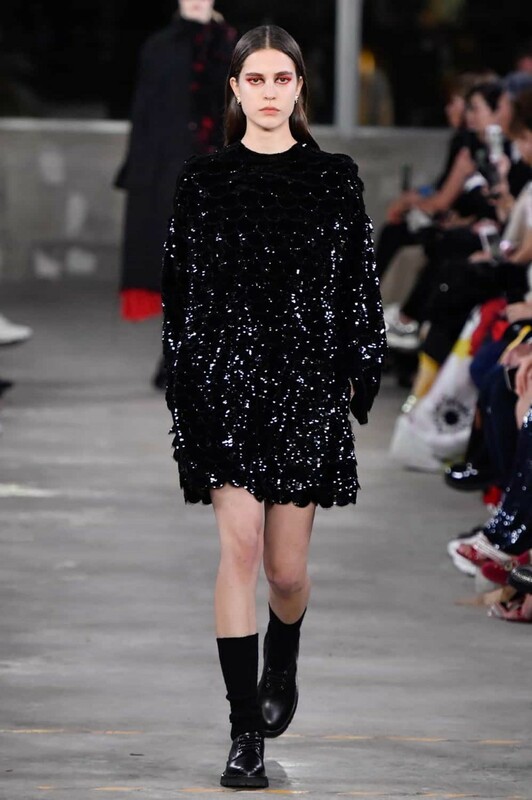 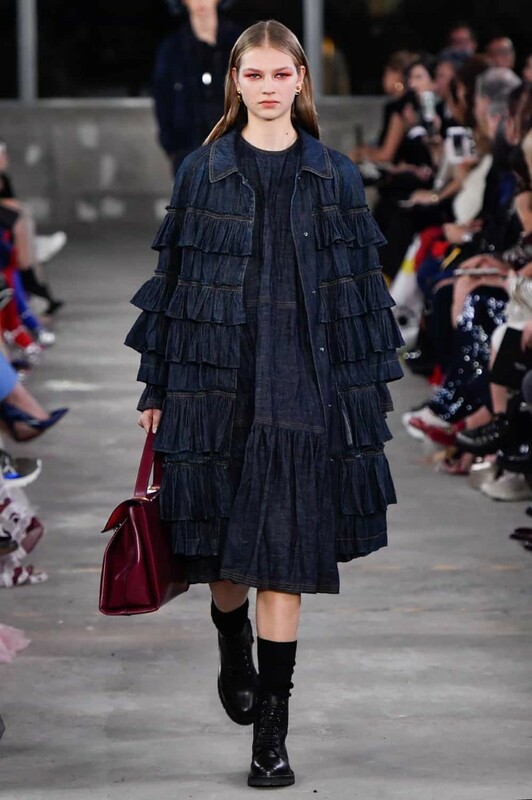 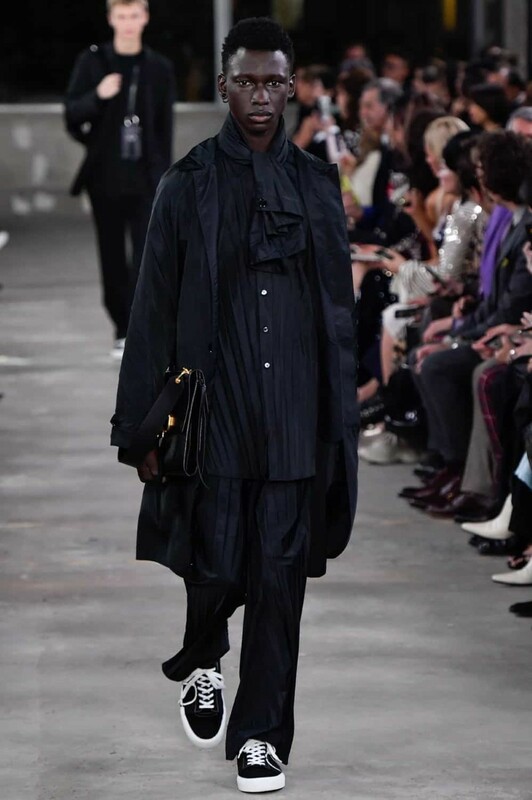 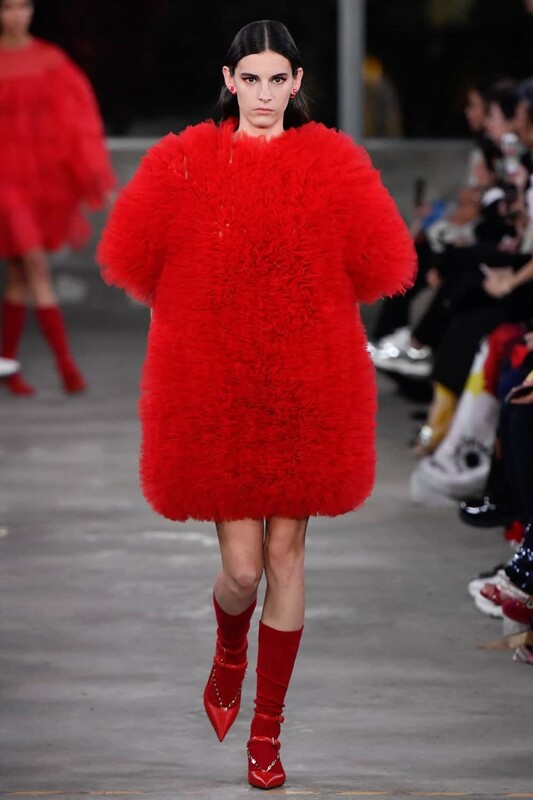 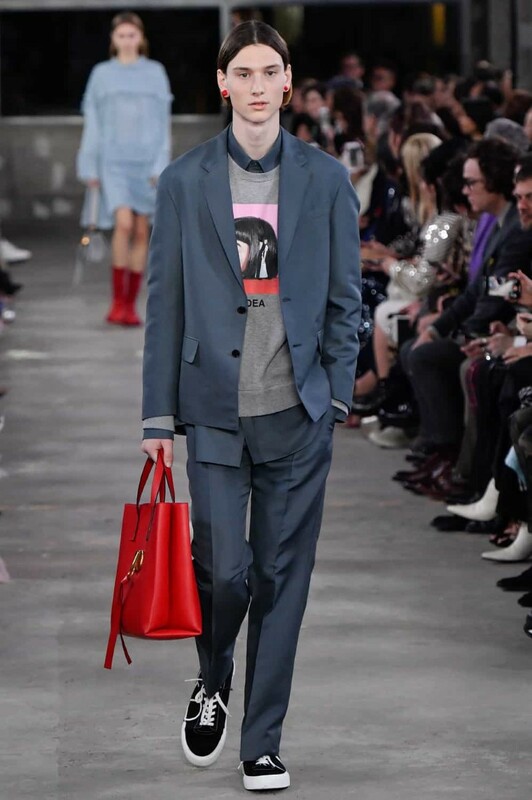 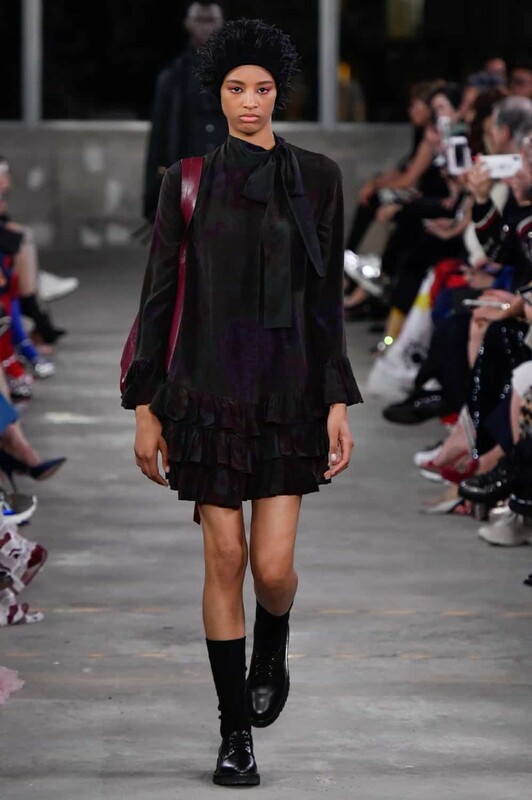 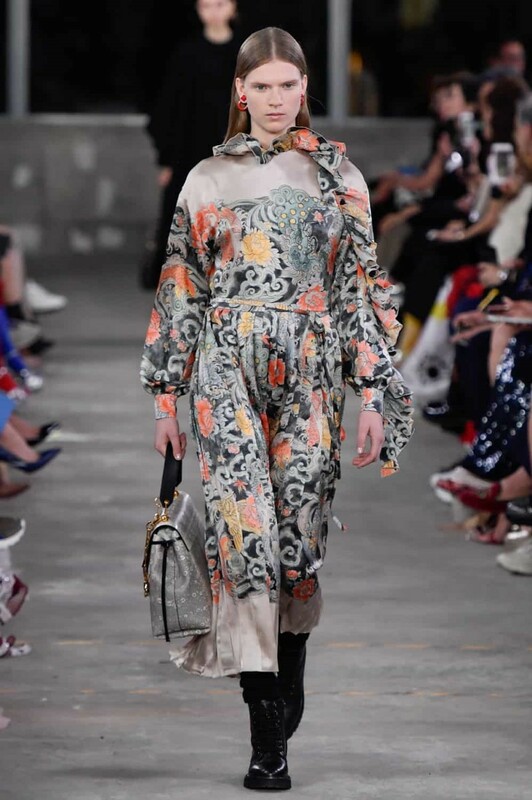 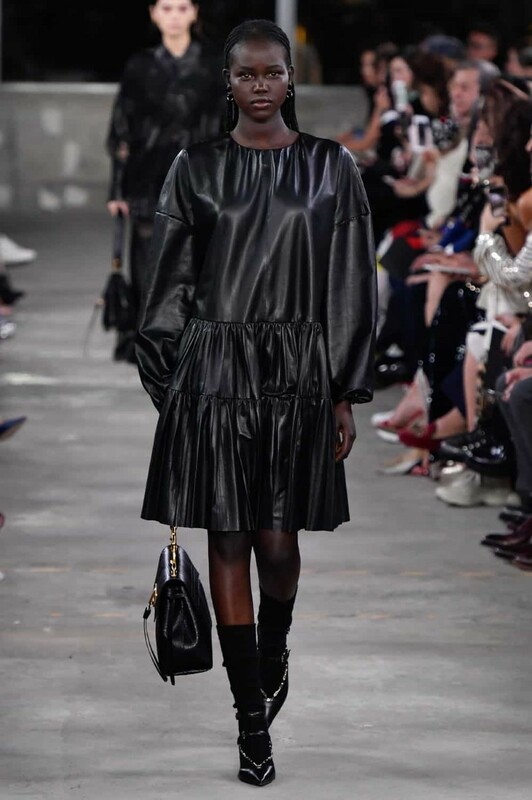 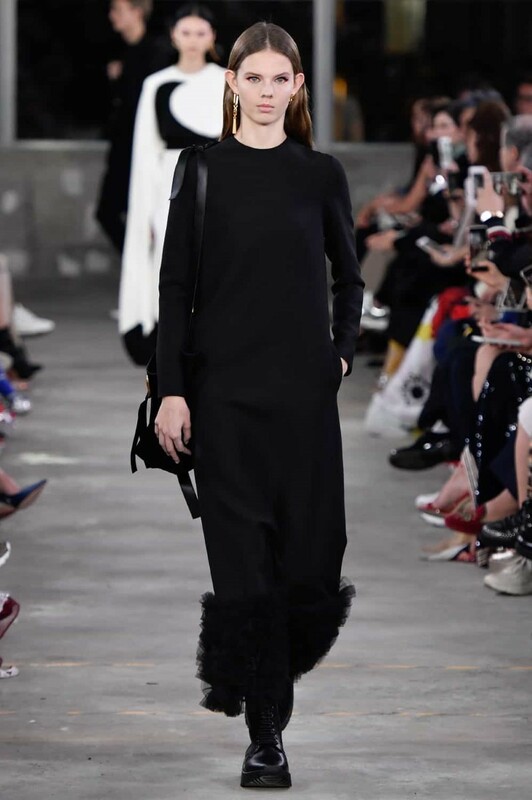 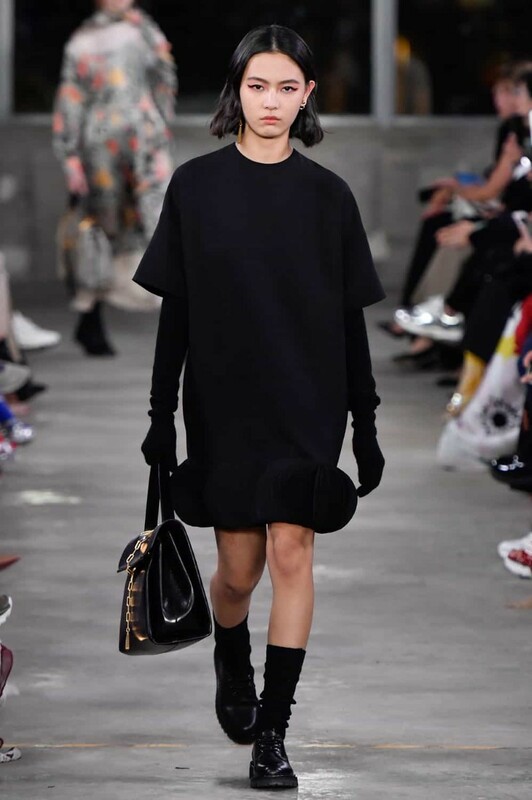 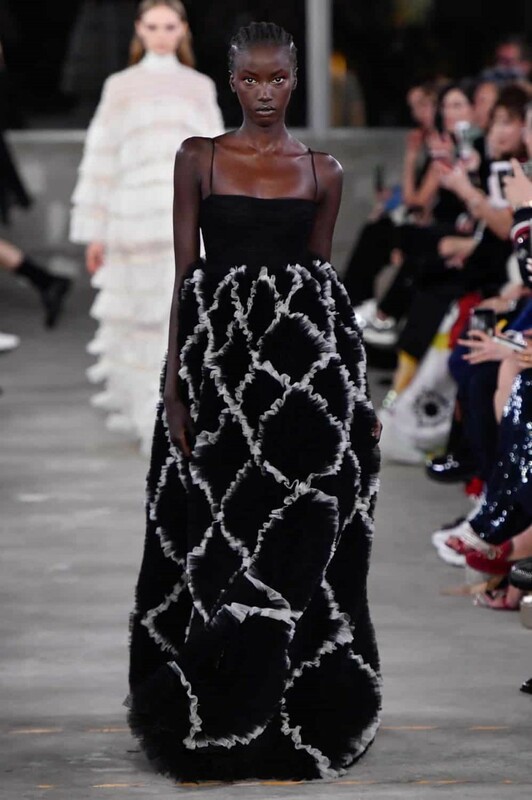 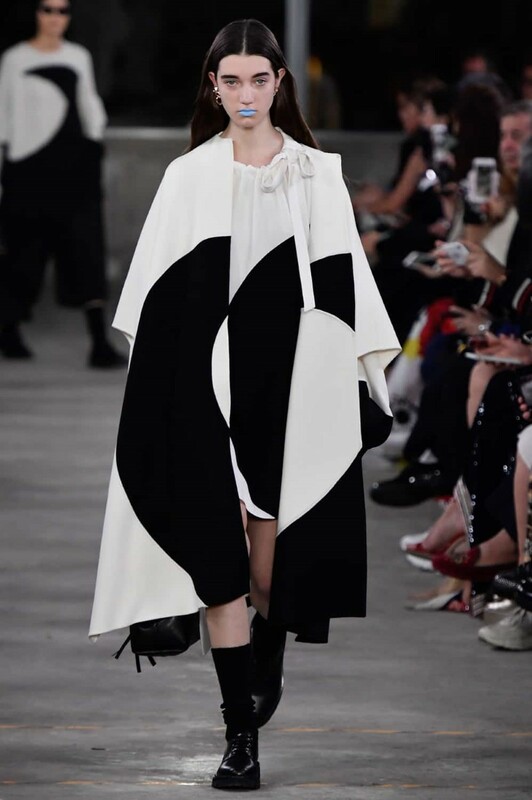 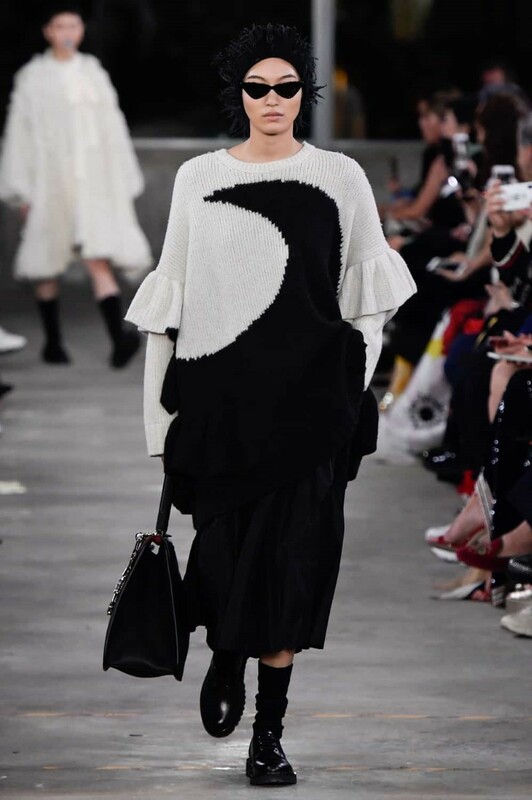 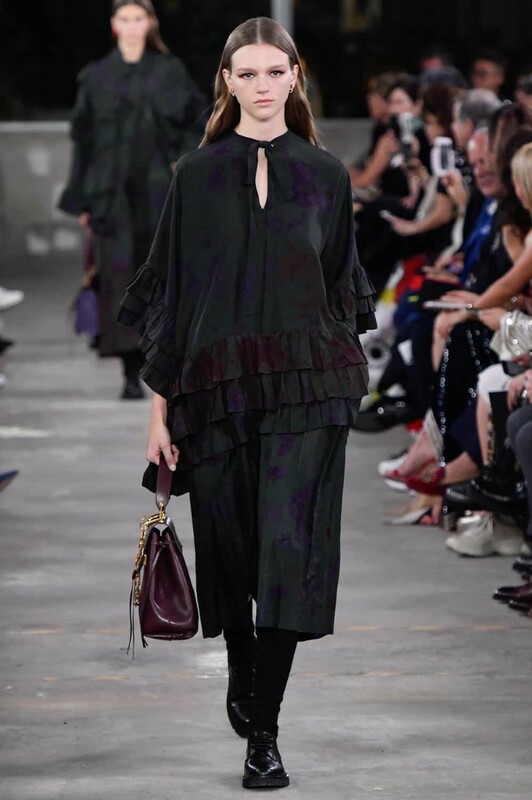 Piccioli showed the Valentino Pre-Fall 2019 collection in a truly unexpected backdrop : a concrete warehouse that was once used to unload ship cargo, right next to a river. 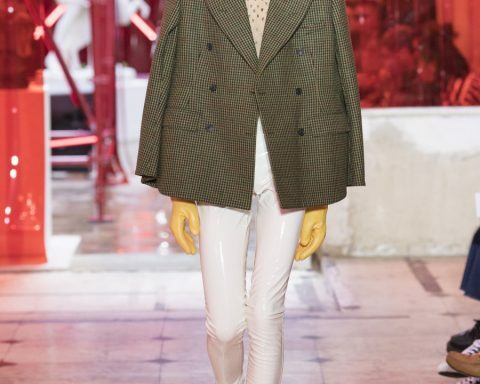 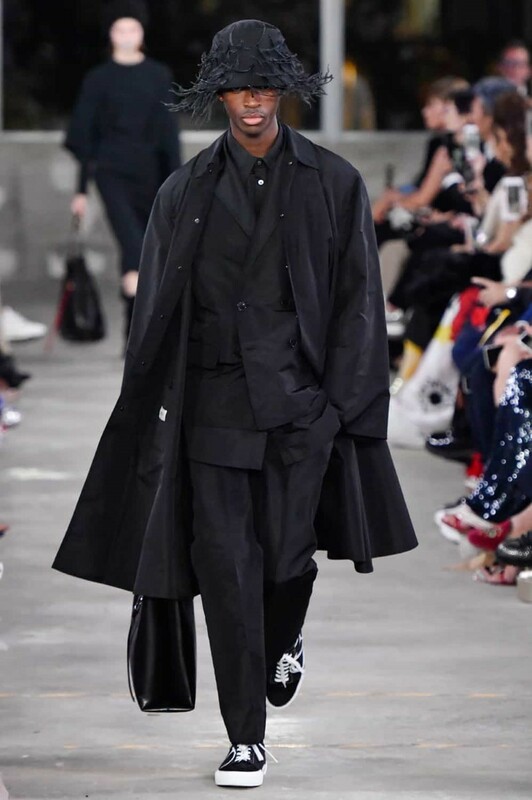 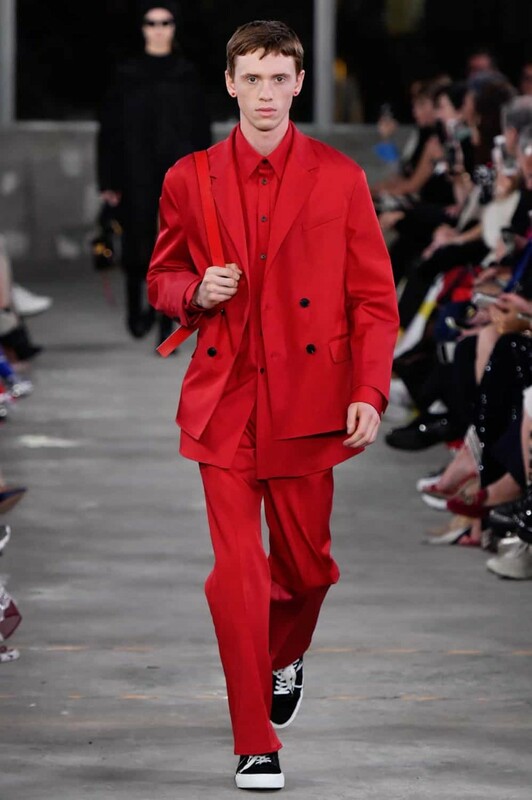 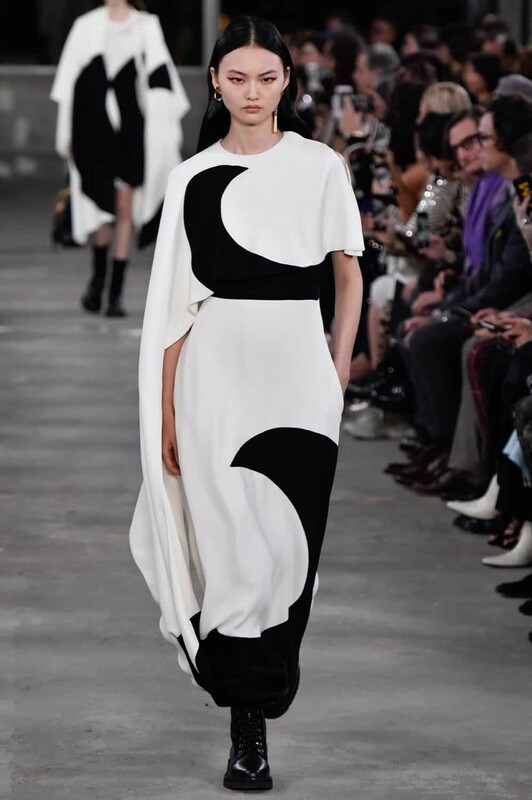 He drew on classic couture detailing for women and tailoring for men, but reimagined them in a more modern way that is more appropriate for every day. 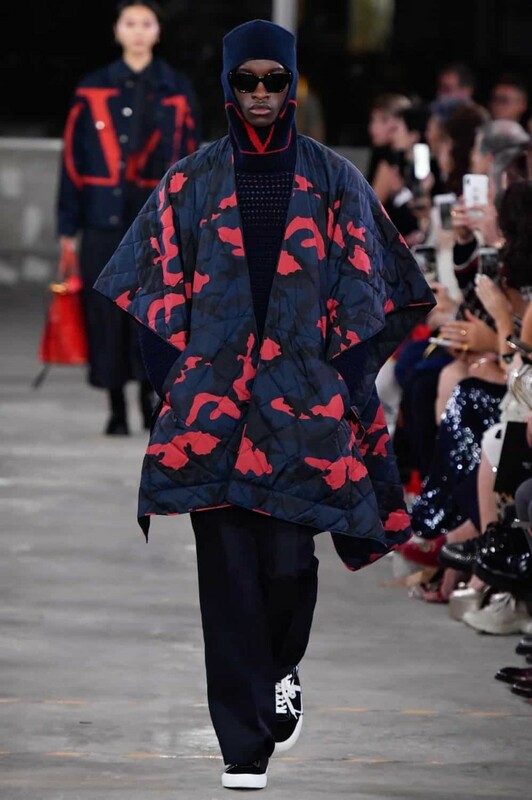 He was also inspired by the idea of wabi-sabi and the kintsugi: a Japanese technique using gold leaf to fills in cracks in everything from pottery to flooring, highlighting asymmetrical silhouettes and imperfections throughout the collection. 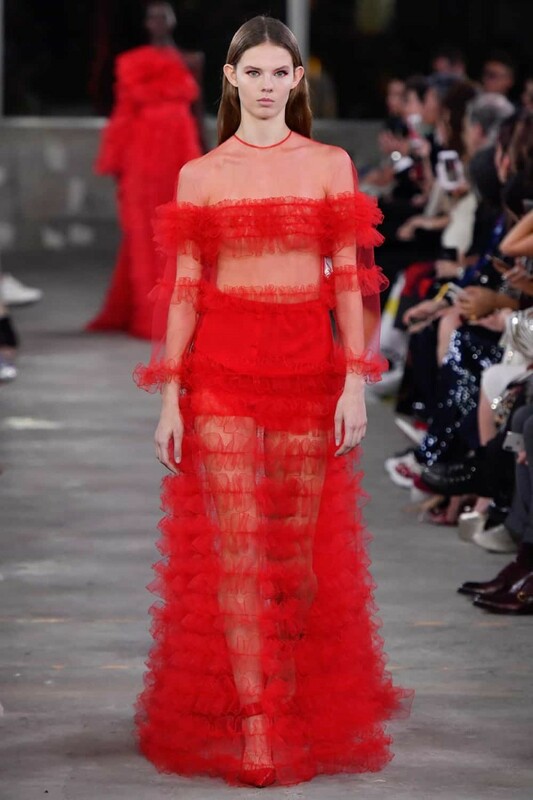 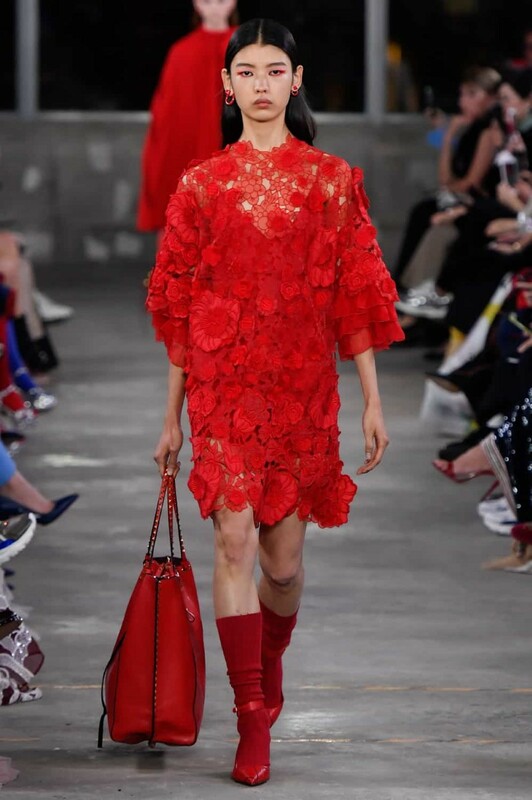 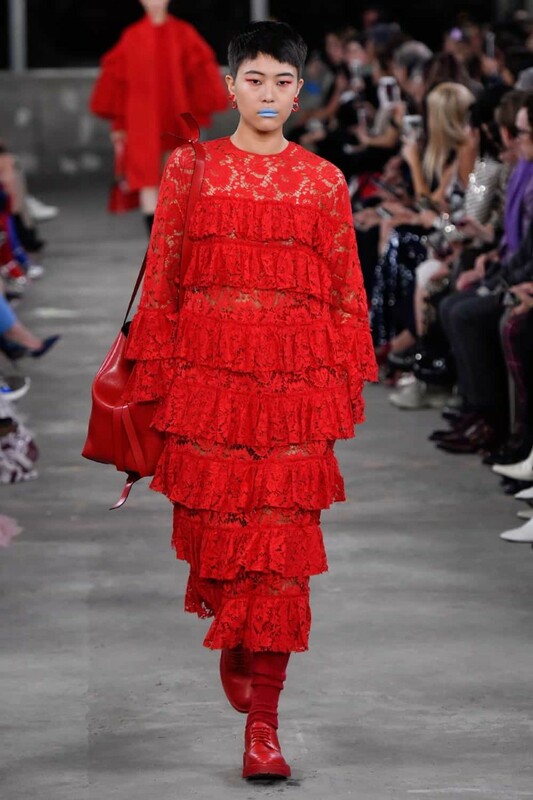 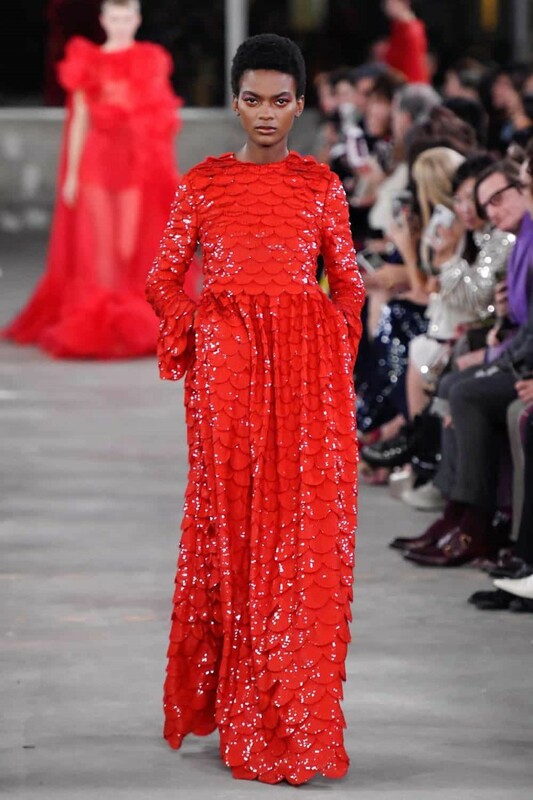 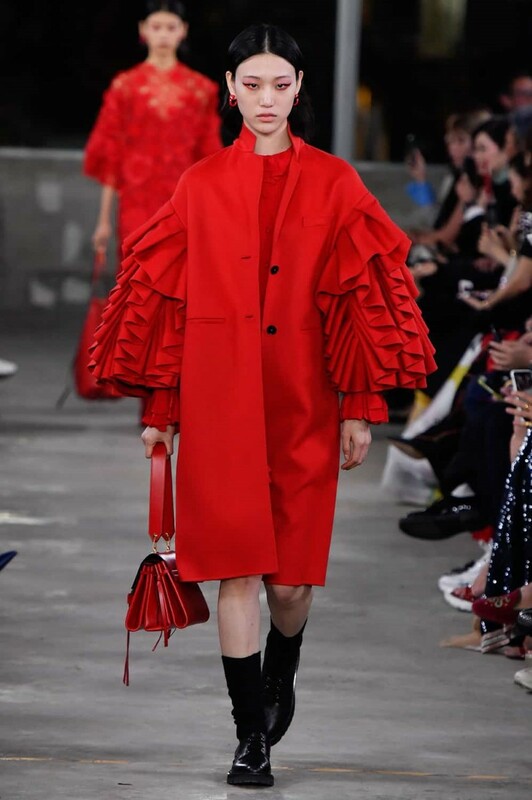 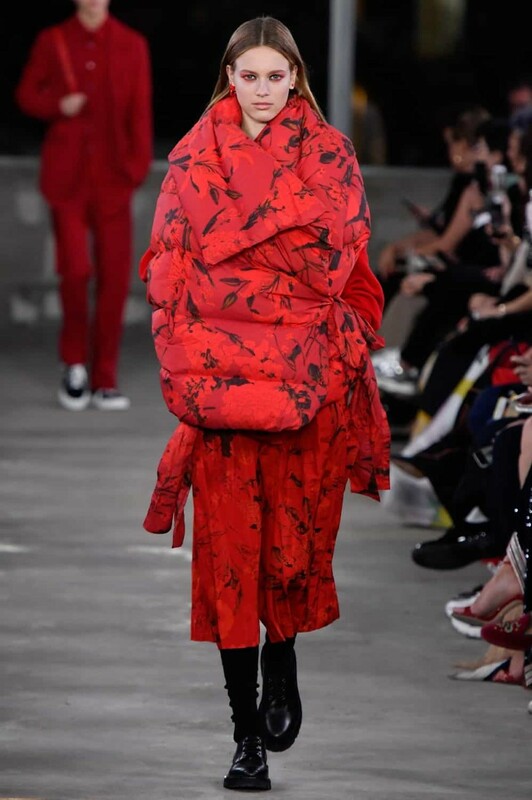 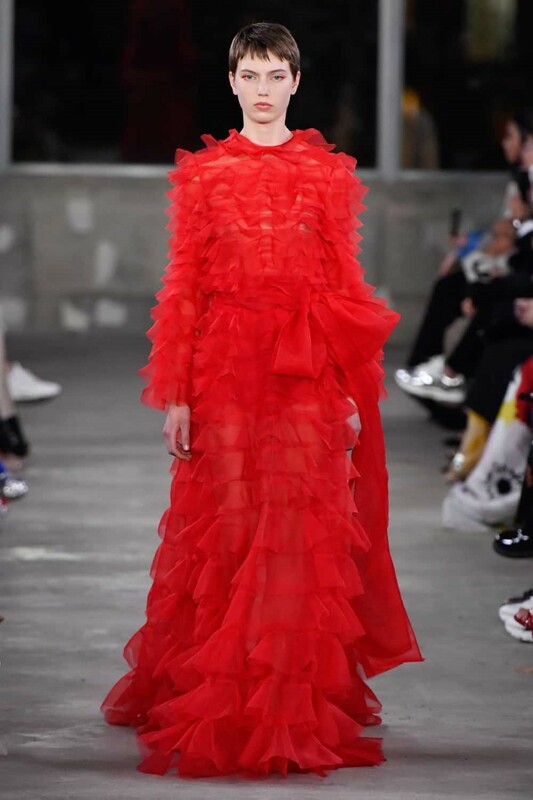 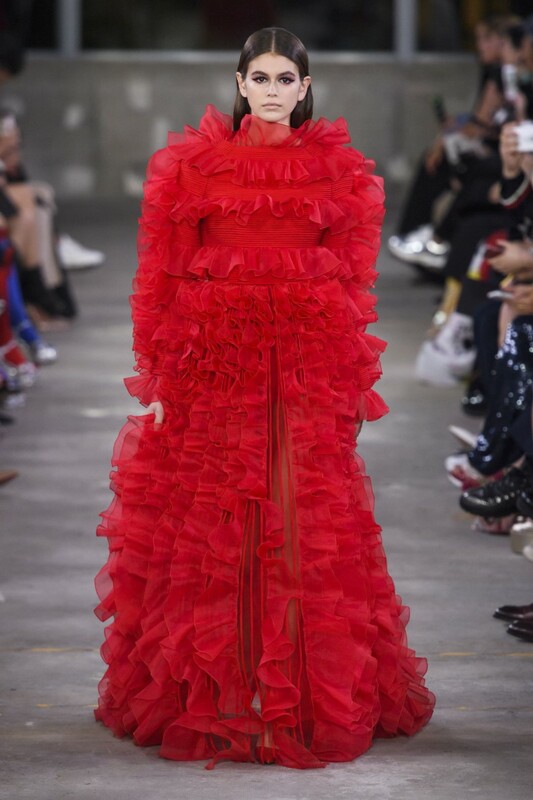 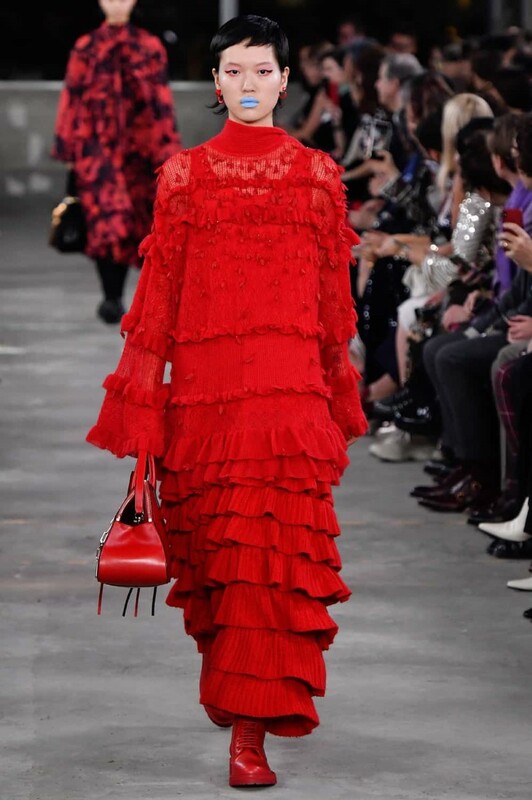 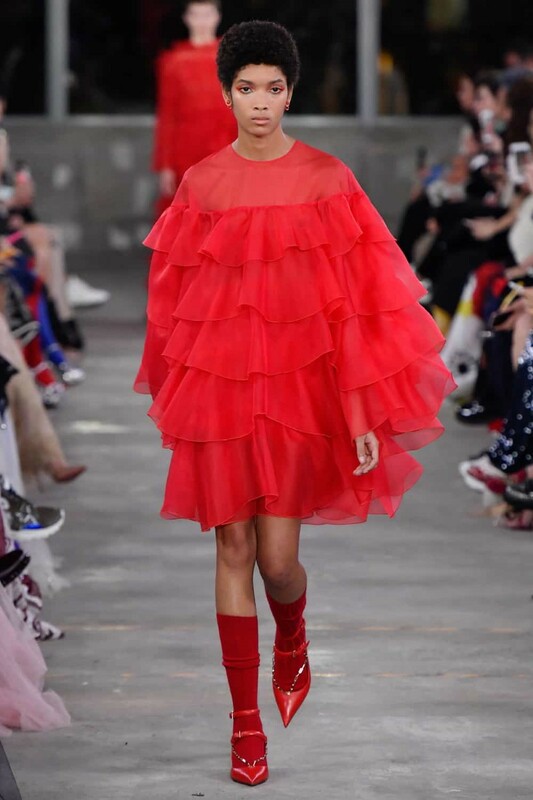 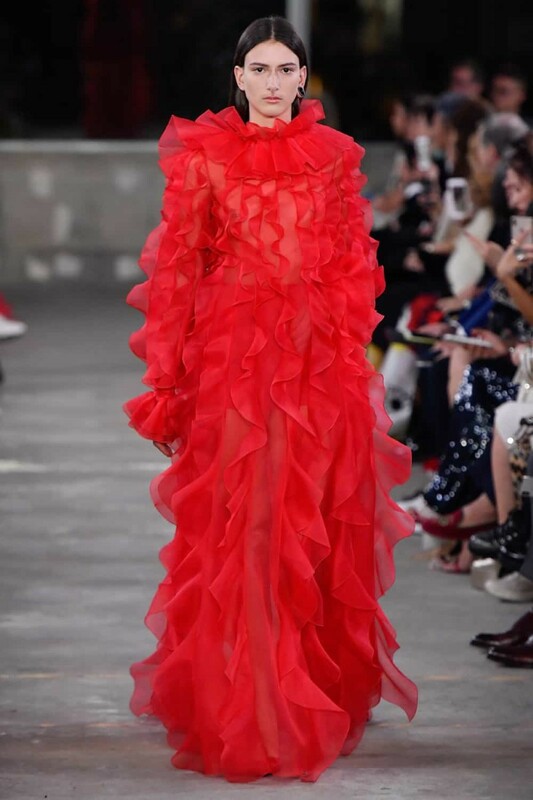 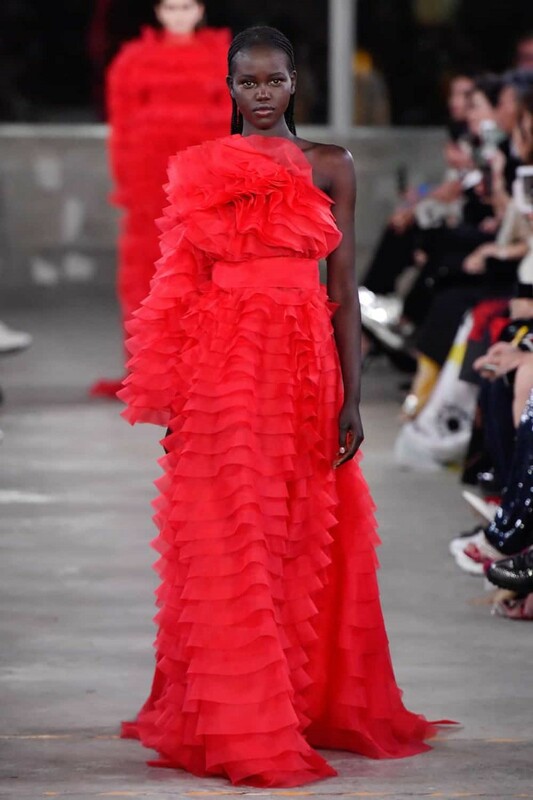 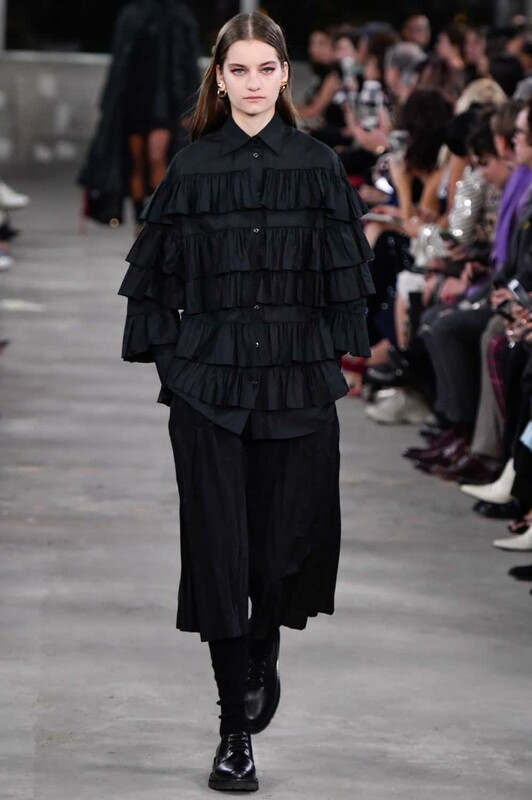 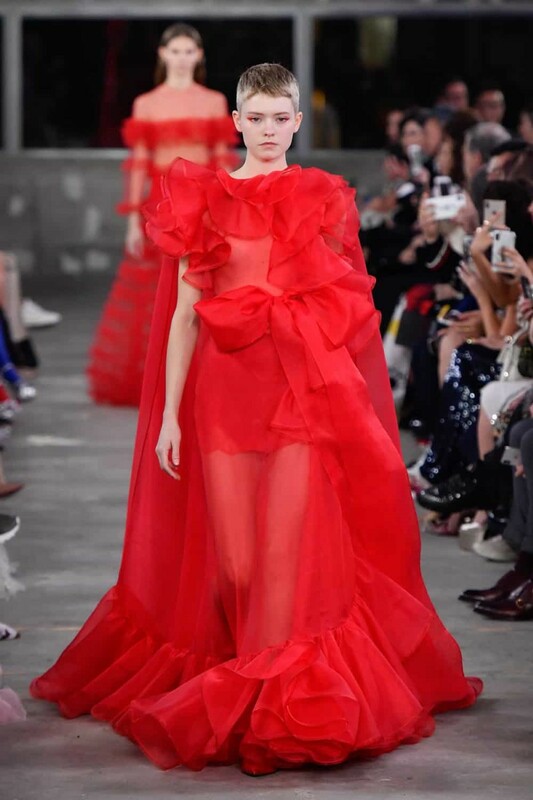 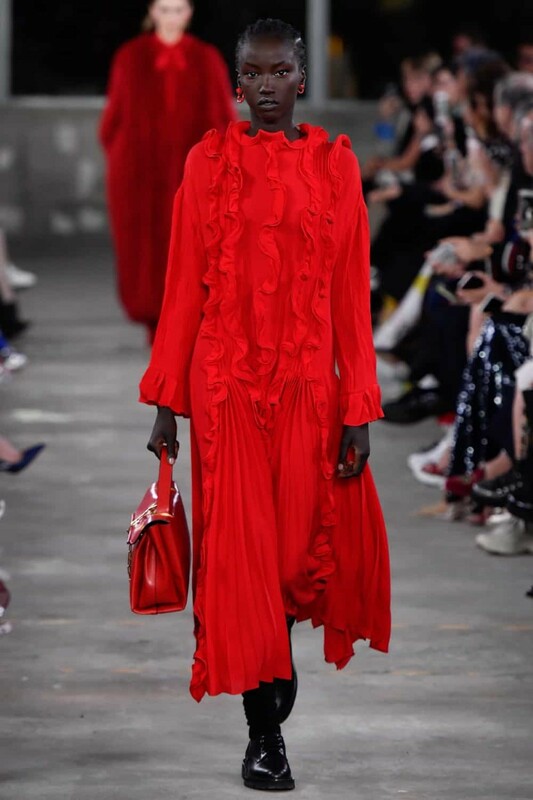 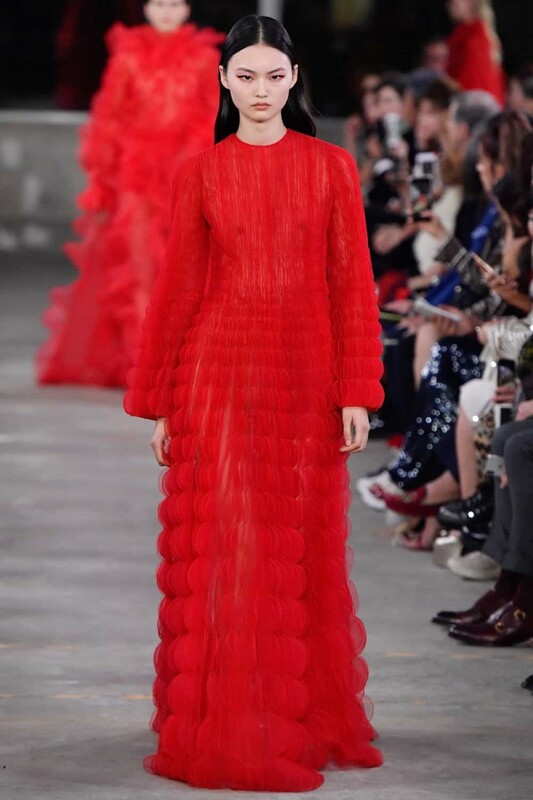 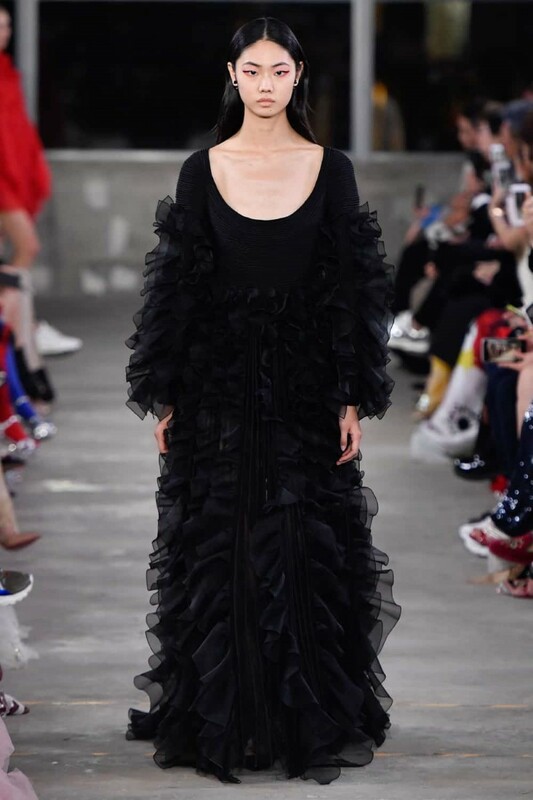 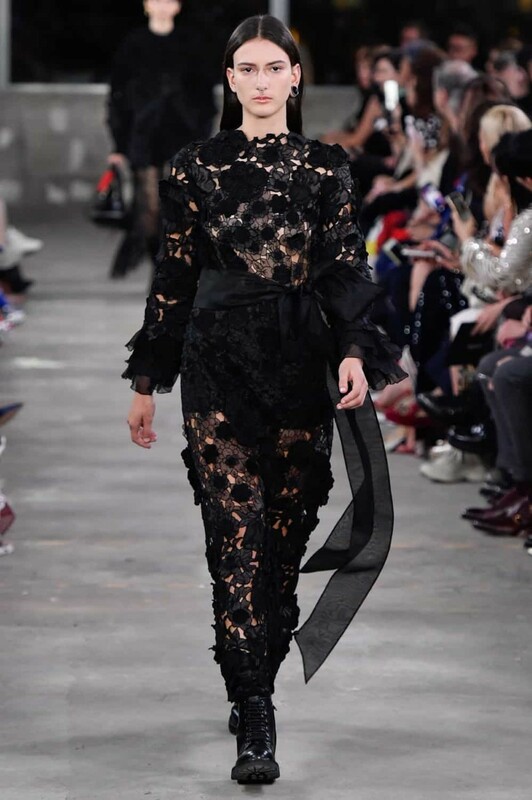 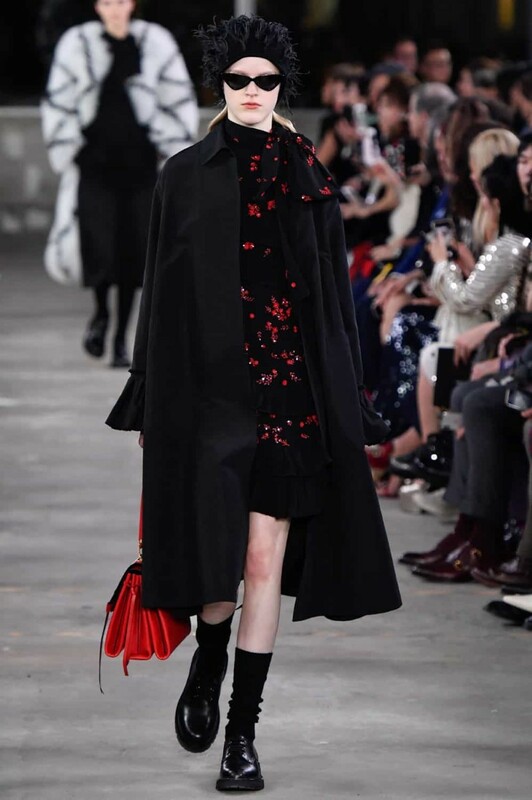 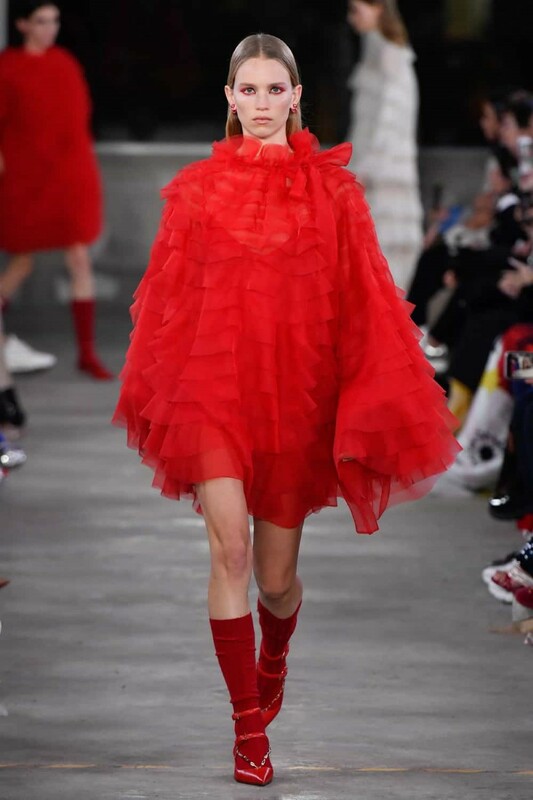 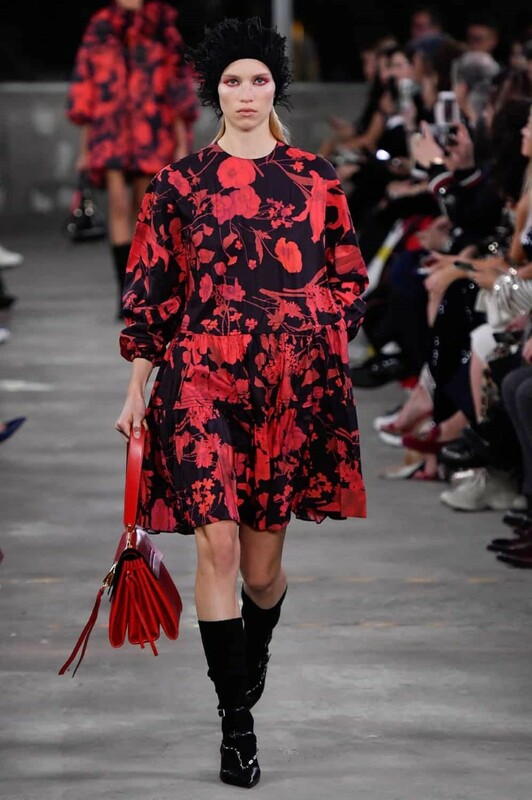 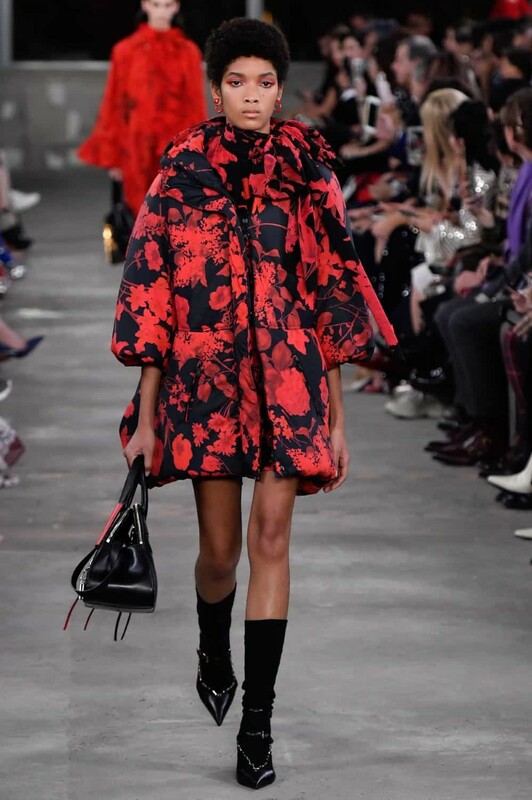 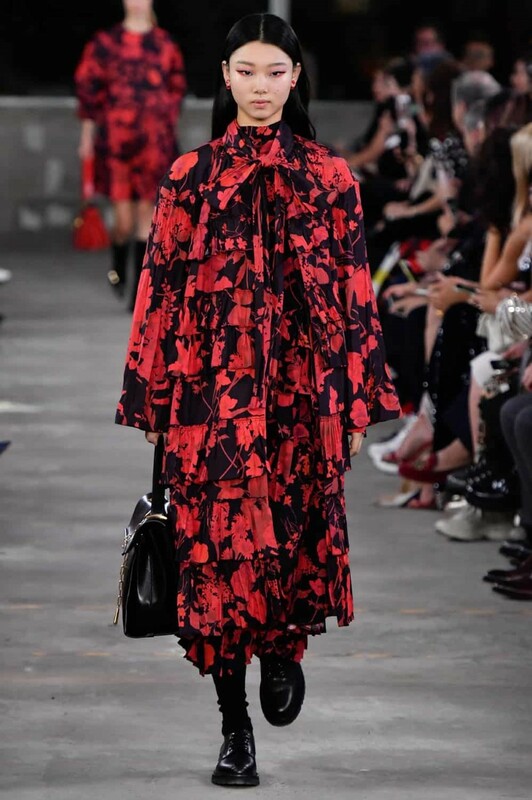 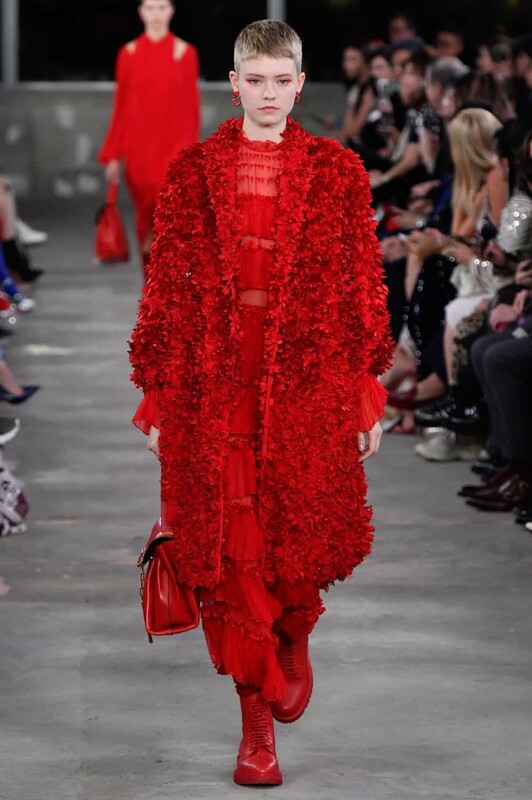 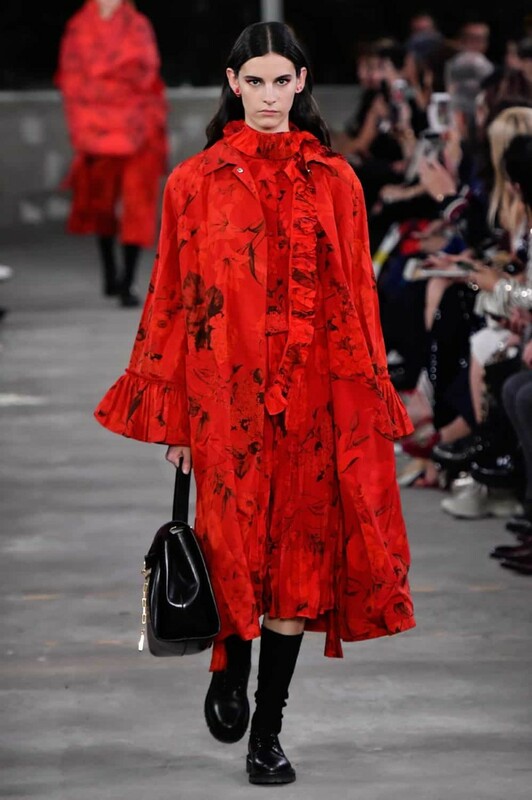 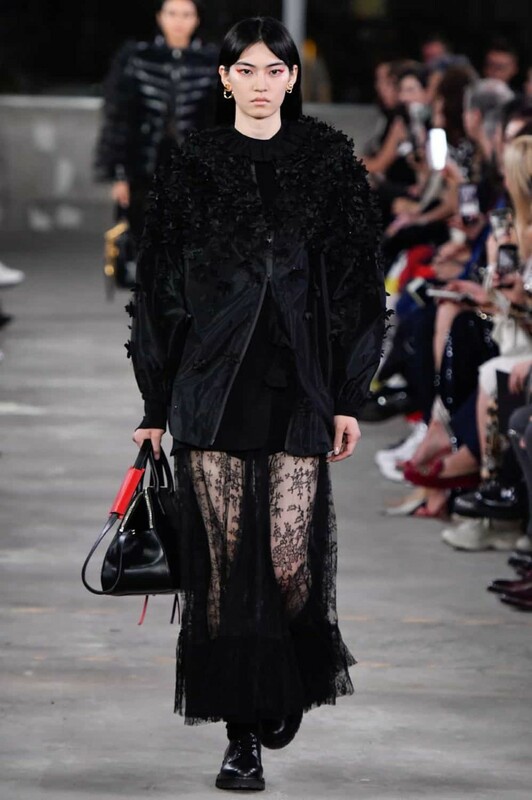 The concept was translated as well into ruffles and reimagined Valentino floral prints crushed into red and black silk dye.